In my continuing series of interviews with the man who wants to save the newsstands, Luke Magerko, Managing Director, Market Analytics Project, this segment of the interview deals with the fees announced by The News Group regarding magazine distribution. Samir Husni: What are your thoughts on The News Group (“TNG”) imposing a fee on copies distributed? 1.TNG’s action was necessary because partners in the supply chain ignored operational challenges and direct warnings from wholesalers for more than 15 years. 2.TNG’s plan will provide short-term financial relief but also will cause many challenges in the short and long term. SH: What kinds of challenges? LM: There are many specific operational and financial questions that have not been addressed. Wholesalers did not provide guidance on fee calculations and refuse to do so. Publishers are left with no way to improve the situation for the wholesaler other than to pay the fee. Also, Texas and Alaska distribution was affected on December 2 so there is no chance publishers were properly prepared for such a radical change. SH: Will this fee save the industry? 1. Why did TNG choose regionality as a basis for the fees? If wholesaler expenses are too high, wouldn’t a fee based upon the all-sales volume of a store make more sense? 2. Who is responsible for title order regulation? 3. If TNG implements a shipping fee, is it reasonable to assume publishers are going to reduce copies shipped? If print reduction adversely effects sales will wholesalers increase the fee to make up the difference? 4. Is this fee permanent? If not, how long will it be in place? What stops TNG from raising the fee again when the program is reviewed at a later date? SH: What would you do if you were a publisher? LM: As we discussed before, publishers pay excessively to sell a magazine because of great overlap in the system. Publishers should create a store-level Profit/Loss Statement, analyze every service provided as part of the supply chain, determine what is vital and eliminate all that is not. • Wholesalers provide the essential service of shipping and merchandising however the efficacy of wholesaler category management and sales services should be questioned. • National distributors act as a financing arm, providing publisher payments and backroom services. If the publisher feels they receive effective sales and marketing services from this group, then they should pay for that service as well. SH: What do you suppose the publishers will find when they analyze its business? LM: First, publishers will find many newsstand consultants desperately calling national distributors to obtain a “bucket report” to make distribution adjustments on behalf of the client publishers. Consultants will be very interested in making operational changes, but it is too late to stop the wholesaler edict. Second, publishers will find little assistance in making this decision because national distributors cannot guide them on the new terms and conditions. Most importantly, publishers need to know that with this fee, the old newsstand model is dead and a new model is needed immediately. LM: Publishers must accept the fee and create a deadline of six month to negotiate a contract with all wholesalers. SH: A contract with a wholesaler? LM: Yes. TNG’s unilateral action demonstrate why a contract is necessary. Publishers cannot live in a world where on any given Monday, business models can be radically modified. Other wholesalers are watching closely to see how to make the next move so it would be wise to preempt other unilateral wholesaler actions as well. SH: What would the contract entail? LM: For the purposes of today’s discussion, I recommend two payment vehicles to the wholesaler: a fee that covers retail margin and a second cost-to-serve fee. SH: How would that work? LM: First, the publisher should reduce wholesaler margin to an amount commensurate with the retailer margin. For example, if the publisher believes a retailer receives 30% margin on all sales, then the publisher should offer that amount. Second, the publisher should offer a generous cost per copy fee on all copies shipped. The publisher should calculate this fee accounting for perceived wholesaler margin and the new subsidy. Publishers should insist that wholesalers accept publisher distribution work on each title. I also recommend publishers sign a contract with MAGNET to receive data directly and publishers then should hire analysts, not consultants, to recommend distribution models to meet publisher needs. TNG should be allowed to audit the distribution process but publishers should have control over its destiny. SH: How does a wholesaler audit publisher distribution? The same way a wholesaler distributes books: publishers will submit the standard size (the width of the magazine is most important) of magazines to the wholesaler. A wholesaler audits distribution by ensuring the amount of copies can fit in the space allotted for the title. Since they are now paid on copies shipped, the only wholesaler concern is that too many copies are shipped. The audit process will ensure that does not happen. For example, magazine “A” is 0.5 inch think and a mainline space is 8 inches deep. This publisher can ship no more than 16 copies to the store and any number greater than 16 is reduced by the wholesaler. SH: Is this the “Cost-to-Serve” model recommended by some national distributors? LM: Yes.This is the first stage in changing the business model to a cost-to-serve model. SH: Your new recommended model still seems a little confusing. LM: I simply recommend consolidating expenses: one for the wholesaler and one for the retailer. The long-term strategy is to adjust the entire system to Scan Based Trading (“SBT”). But that is for a later time. LM: 1. Publishers must accept TNG’s new terms. Sorry, there is no other option. a. Ensure consistency in terms going forward. This has been a scary week for the publishers and they need to come to grips with new terms and conditions. SH: Well, I guess we have to wait and see. Looking forward to more of this discussion. Stay tuned and thank you Luke. Samir Husni: IS THE ISSUE OF SCAN-BASED TRADING HOPELESS? Luke Magerko: No, and scan-based trading (“SBT”) is really not that scary. SH: NO EXPERT OF NEWSSTAND AGREES WITH THAT STATEMENT! All of these issues have been addressed by one publisher and have been reconciled in an actual magazine program. SH: IS THIS THE MEREDITH DOLLAR TREE PROGRAM? WHY DID THIS PROGRAM GO AWAY? In summary, there was an existing SBT program that was wildly successful and according to Folio’s reporting, external forces might have been brought to bear on Meredith to discontinue the program. I think Folio provided an interesting analysis of the program’s decline. SH: YOU’RE NOT CONVINCED BY INDUSTRY REASONING ON SBT? LM: No and I have a riddle for publishers: the Dollar Tree program was a reduced-priced magazine program. I ask the reader to infer terms and conditions, and ultimately, profitability on this type of program. How can a program that sells copies for the industry-taboo price of $1 be wildly successful? Meredith saw something enticing in the Dollar Tree program. Likewise, many other publishers also have good ideas how to grow their business. This is the clearest example of why publishers need to reestablish their role as the second-most important participant in the supply chain. I find it hard to believe a Procter & Gamble, Nestle or Hallmark Cards would accept an industry-wide standard on how to run their business. Publishers have a right to work with the retailers, to establish best practices with their wholesalers, and make this a better category regardless of everyone else in the middle of the supply chain. The publisher is responsible to its customers and need to reestablish that fact with participants in the supply chain and within their own newsstand departments or consultants. Most publishers ceded their authority almost completely to members of the supply chain, however. SH: HOW HAVE PUBLISHERS CEDED THEIR AUTHORITY? While the transition to Cowley alleviates the print order reductions, the decision inevitably devastated 2013 retail sales rankings in those accounts and will have negative ramifications in 2014 and beyond. Unfortunately, it seems as if this happened due to financial pressures on the wholesaler. I worked in a wholesaler for the first seven years of my career so I understand and empathize with its financial constraints. In the upcoming weeks, I will offer advice on what wholesalers need to say to in order to move forward with such things as SBT and with whom to speak (hint: not newsstand people). Ultimately it is up to publishers to fix this industry but wholesalers can be of great service in the process. SH: HOW DO WHOLESALERS FIX THEIR SCAN BASED TRADING PROBLEM? LM: I was interested in the foreboding quote from Ron Clark regarding the future of Hudson News: “tell everyone, if something doesn’t change we will be flat out closed.” I assume that other wholesalers are in a similar financial condition. If the situation is so dire, then the wholesalers cannot wait another decade for industry leaders to research this problem. 1.Are there titles that do not have issue code concerns? 2.How do other industries handle SBT inventory concerns? 3.Are there other incentives for publishers who participate in this program? 4.If SBT becomes the norm, would that empower wholesalers to try and expand the magazine categories? SH: EXPAND? SALES ARE DECLINING! LM: Not all titles are shrinking; and many of the moderately successful titles have limited distribution on the mainline. Further, at existing margins and price points, magazines are still some of the most profitable products at retail. SH: SO YOU ARE SAYING WHOLESALERS NEED TO FORCE THE ISSUE? SH: HOW DO YOU RECOMMEND WHOLESALERS CONVINCE PUBLISHERS TO DO THIS? LM: I believe there is a way to transition to SBT that would be beneficial to many parts of the supply chain and that will be the topic of our next interview. The American magazine business model is not one that depends heavily on single copy sales. It is a subscription based business model. No wonder than that some publishing companies seem disconnected from their newsstand departments despite the fact that sales at newsstand exceed 3 billion dollars and more than 100,000 stores sell magazines in the United States and Canada. Newsstand is a leading indicator of consumer trends but its complicated distribution system and financial terms such as RDA, IPO, rack fees, etc. make it difficult to embrace. In spite of its complexities, however, newsstand should be at the forefront of publishing because of its ability to predict future successes and failures for a publisher. For example: Editors at a top-ranked, niche magazine radically adjusted editorial focus based upon two factors: a change in advertising strategy designed to expand sales opportunities, and recognition that the existing audience for the niche was contracting. The publisher’s marketing projection predicted a small decline in readership from core subscribers, but believed the gains from the new audience would outstrip the losses. The results, however, were far worse than the projections. The title successfully grew the new desired audience, but the success was mitigated by a rapid decline in existing audience. My team provided the disappointing results to consumer marketing, warning that similar declines might be recognized in renewals, and ultimately in direct mail results. Indeed, newsstand predicted the consumer marketing declines accurately and ultimately the title folded. Samir Husni: COULD NEWSSTAND HAVE STOPPED THE DECLINE? Luke Magerko: I can’t say, but the warning signs were clear. Many publishers do not think of newsstand as an early warning system, but I hope to change that. There are more than 100,000 stores selling magazines and, when analyzed, these stores tell a compelling story. My point is that newsstand can, and should be, the first stop in publishing analytics. SH: WHY FOCUS ON PROFITABILITY? LM: Profit provides the best context for decision making. For example, compare a weak analytic report (store count) versus a strong analytic report (store quality). • Store Counts or “store quantity” are used as criteria for success in many newsstand departments. Simply, newsstand departments correlate store counts with vitality and directly correlate the number of stores to the title’s strength. The fallacy is that the store count implies all stores are equal. I am not making value judgments on the inherent quality of a store, but one average Walmart store has more sales impact than one convenience store. Therefore, giving equal weight to each store is misleading. • I prefer to identify “quality stores.” A quality store is one that meets the profitability needs of a publisher. A title heavily reliant on achieving rate base will have a different definition of acceptable profit/loss than a niche special interest publication that has no rate base concern. Last week’s financial model meets both criteria. A store-level profit/loss grid will determine correct store-level order regulation, and will lead to strategic marketing decisions. By summarizing store-level profitability into a chain profit/loss grid, publishers will quickly determine if a chain is worthy of checkout acquisition, promotion, or expansion into more stores. SH: BUT ISN’T STORE QUANTITY AN ESSENTIAL TOOL TO DEMONSTRATE VITALITY AND AUDIENCE REACH? LM: Store count is commonly used for just that purpose, but I disagree with that thinking. There are two weaknesses with the store count approach: replacement stores and stores with minimal draw (copies shipped). As mentioned earlier, if a publisher replaces one Walmart store with one convenience store, the store count report will show a net loss of zero, but sales will decline. I will go into more detail on the replacement stores in the future. 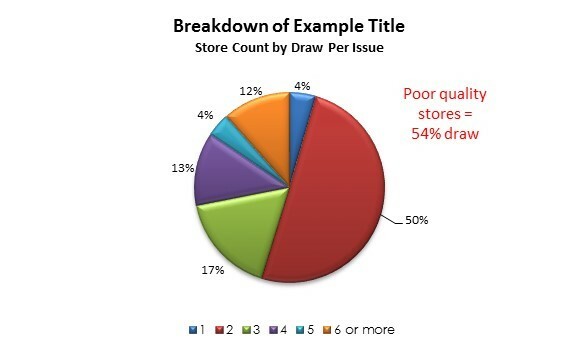 Let’s focus on one example of minimum draw: Current Draw of 1-2 per issue – Simply, I am analyzing a series of stores with a very low distribution, either one copy shipped to a store per issue or two copies shipped to a store per issue. I analyzed one top-200 ranked title who recently changed national distributors. One pretext for the switch was the promise of increased store counts. The chart (below) includes issue code, draw, and store count. As the draw declined, so too did the store count. The new national distributor assumed responsibility in May 2012. The October 2012 issue indicates the distributor achieved its promise by increasing store count while also reducing draw. The pie chart (below) reflects the current draw by store. 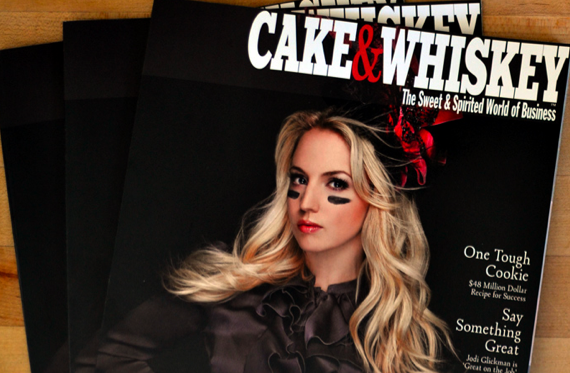 More than 50 percent of stores receive 1-2 copies per issue. Although the store count increased, the value of a 1-2 copies per store is weak. Here, overall sell through for the title is 24 percent, however the 1-2 copy stores sell at 14 percent sell through. 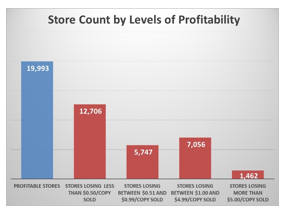 Overall, sales results from 1-2 copy stores are mixed: in a few instances (approximately 25 percent of the time), these low-draw stores perform on par with overall sell-through averages, but for the most part sales results remain underwhelming compared to the overall sell through. SH: WHAT REPORTS ARE ESSENTIAL TO MAKING THE BEST DECISIONS? LM: There are many reports essential to any newsstand tool kit. Four significant ones are: class of trade, region, county, and demographic (PRIZM Data). Some of these reports should be familiar, but they should be relied upon using the profitability model instead of as a plain sales report. SH: HOW DO YOU USE CLASS OF TRADE REPORTING? LM: The class of trade report is a standard newsstand report where one can quickly get a sense of a title’s market share in supermarkets, drug stores, etc. The deficiency with the class of trade report is that it is inherently skewed. Supermarkets represent approximately 35 percent of all magazine sales. Therefore if you are a top selling title, the class of trade report will reflect that supermarkets are the strongest category. If you are a smaller title, results are skewed to the bookstore class of trade which is the point of entry for smaller titles. Without profitability, the report provides no guidance on what to do next. SH: WOULD THAT ALSO BE A CHALLENGE FOR REGIONAL REPORTING? Much like class of trade reporting, regional breakdowns are misleading because the three southern regions represent 37 percent of the population while the northeast represents 18 percent, the midwest represents 22 percent, and the west represents 23 percent. If the publisher analyzes a standard regional breakdown, most titles will have a strong market share in the south. This is a natural occurrence based on population trends, not a sales insight. SH: HOW DOES YOUR PROFITABILITY MODEL HELP ENHANCE THESE REPORTS? LM: Except for a handful of the largest titles which are fully penetrated into the 100,000-plus store universe, most titles have the potential for growth. Smaller titles certainly do not have full distribution into the full universe of stores currently selling magazines, but a profitability model will show how and where to expand distribution and to shape important editorial and marketing decisions. For example, if a title is consistently strong in the grocery class of trade and is strong in the northeast, the publisher should be encouraged to invest in display at Wegman’s. Conversely, poor showings in convenience stores recommend against promoting in those stores. SH: CAN YOU PROVIDE AN EXAMPLE OF HOW THIS WORKS? LM: Yes, unfortunately this is another negative example, however it makes the point. A mass-market publisher highlighted a sensitive cultural topic in a number of its issues. The issues were published a significant time ago, however the effect of the editorial choice lingers. Profitability within the areas that favor the cultural topic outperformed the unfavorable areas by a significant margin. The favorable regions generated 34 percent more profit per copy sold than their counterparts. This input is a key insight because as checkout space or promotional opportunity presents itself, the publisher has a tool to aid in the decision-making process. Should the publisher promote in regions where sales are soft? Further, editorial staff and marketing groups have an important decision to make going forward on this topic – if and how to broach the same cultural issue on an ongoing basis. SH: SO REGIONALITY DOES MATTER? LM: My answer is a qualified yes. Politics and cultural issues have a lasting effect on regional magazine sales and profitability, however my sample size is fairly small to make a general proclamation. The good news is that by bringing together the full team of advertising, editorial, consumer marketing, and newsstand, the publishing group can make informed decisions based upon this powerful newsstand information. The effects can be identified, and a series of steps can be taken to mitigate negative effects. SH: WHAT IS COUNTY REPORTING? • “B County” is one with a population of more than 150,000 that is not already an A County (inner suburbs). • “C County” has between 40,000 and 150,000 residents (exurbs). • “D County” is any other county (rural). SH: ARE YOU SAYING THAT COUNTIES IN DIFFERENT PARTS OF THE COUNTRY ARE MORE SIMILAR THAN REGIONAL SIMILARITIES? LM: Yes, I’ve found more sales correlation in the Upper East Side of Manhattan to the Lincoln Park district in Chicago than there are regional similarities between Chicago and Des Moines or New York City and Albany. SH: DO YOU HAVE AN EXAMPLE OF HOW COUNTY DATA MIGHT BE BENEFICIAL? LM: I have a case study to share: pricing based on county sales. I chose one of the most iconic brands in publishing, a top-40 title with a distinctive brand and an equally distinct audience. I applied the same conservative profitability estimates I discussed last week and determined this title is unprofitable at newsstand. This might be acceptable because the unit sales ensure rate base guarantees, however, there is a straightforward way for the publisher to enhance revenues. • Who is the intended audience? • What is the subscriber makeup for the title? • Does it match newsstand? • Where does the audience live? SH: DOES NEWSSTAND SALES DATA REFLECT SUBSCRIBER DATA? LM: There is a solid correlation between newsstand data and subscriber data, however more data points are necessary to concretely demonstrate the correlation. Again, my point is that newsstand data is the most rapid response system in the industry. I believe I read fifty-five percent of retail sales are recorded using point of sale data, according to the POS discussion at PBAA. It is imperative that this is data be integrated into reporting and used as the valuable tool it is because newsstand is a valuable conversation starter. That is, results seen at newsstand will predict an effect throughout the entire publishing house. SH: WHAT IS PRIZM DATA? LM: A.C. Nielsen provides an intriguing look at demography even deeper than county data by breaking counties down into smaller segments based on age, family size, and income. One national distributor provides that data as part of its service. Two specific reports can be generated using PRIZM data. Today I focus on income. I analyzed a handful of titles using income and again found correlation between the subscriber and the stores where they shop. Using the zip code of a store, I estimated what kind of consumer is shopping in that store. This invaluable tool provides a deeper understanding of the customer. Using the same iconic title described in the county data (see above), I demonstrated the need for a price increase by looking at both income levels and social attributes, essentially county breakdown by another name. The descriptions are self-explanatory, but please contact me at lmagerko@market-analytics.com for further detail. I color-coded the 5 most profitable groups in green, the middle 5 in yellow and the worst-performing groups in red. High income, urban consumers provide profitable sales while lower-income, rural consumers provide unprofitable sales. Again, my analysis sizes are too small to make sweeping statements, but Samir, as a man of the industry, may I ask this rhetorical question? If presented with an opportunity based on county data and PRIZM data, would this interest you? SH: YES! SO THERE IS HOPE FOR GROWTH AFTER ALL! LM: Yes! Our discussion last week focused on savings, not to discourage publishers, but to embolden them. I offered those tips as a precursor for this week’s look at potential opportunities. I hope this week’s discussion inspires publishers to look inward and ask questions. I am thankful to have worked for progressive companies like Meredith and Diamond Comic Distributors which allowed me to test a great many hypothesis during my career. There are no bad hypotheses, but I feel our industry is so shell-shocked by declines that they have given up on growth. I say, start questioning and together we will grow this industry again! Stay tuned. More to come. To read part one of this interview just see the blog entry below. 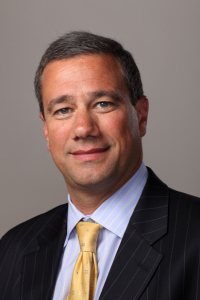 A twenty-year veteran of the newsstand industry, working for a small wholesaler – Independent Direct Distributors – in the 1990s and for the Meredith Corporation in the 2000s. His newsstand successes include the Dollar Tree Program, Family Circle’s 75th Anniversary multi-platform promotion/$0.75 edition, and the sale of the first bookazine (Great American Kitchens, 2000). He spent the last two years of his professional career as a member of Diamond Comic Distributors where he was responsible for business development. He analyzed magazine data to determine whether Diamond’s unique methodology would apply to the magazine industry. In working with magazine publishers and purchasing data from MAGNET, he analyzed more than two dozen magazine titles at retail. In January 2013, he was accepted to Northwestern University’s Master Program in Predictive Analytics. Luke also founded the Market Analytics Project to offer actionable data analytics to publishers, vendors and retailers alike. In the coming weeks I will be introducing a series of interviews with Luke with the hope that we will be able to shed some like at major problems on the newsstands and the different ways to solve them. It is solutions that I am after and not restating the problems. So without any further due, here is the first segment of the Mr. Magazine™ Interview with Luke Magerko. I would like to quote Bob Sacks from his 6/14 newsletter: “It is my opinion that there can’t be too much data, but there can be inefficient to awful programs that analyze that data and deliver reports that are not readable or understandable by your typical professional.” He is right; I want to de-mystify the data and provide simple reporting and recommendations which will reduce publisher expense and provide opportunities for growth. WHAT WOULD YOU CONSIDER TO BE THE MAIN CHALLENGE WITH RETAIL? Consider how each participant in the newsstand channel is paid and what services they provide: 1.) Publishers require the services of a national distributor who usually receive a percentage of retail sales in exchange for sales and marketing services, “backroom” – or accounting – services, and a final payment for the product. 2.) Wholesalers are paid on a percentage of sale and provide sales and marketing services, operations – such as shipping and merchandising of product – and payment to the National Distributor. 3.) In all but the largest publishers, newsstand consultants exist to help publishers by providing sales and marketing service plus being the liaison between national distributors (in larger publishing house, there are newsstand departments doing this work). They usually get paid either in a flat fee or as a percentage of sale. 4.) Finally, there is the retailer who also gets paid on units sold. THAT’S A LOT OF SALES AND MARKETING! It is! When I present my cost saving analysis to a publisher, a consultant or any interested parties, the vast majority of respondents do not say my data is wrong. I am told, however, “There are just not enough people to do this kind of analysis.” Internal employees, consultants, national distributors and wholesalers all claim they are working on the publisher’s behalf to provide sales and marketing services. I believe there are enough people to do this important analytical work, however since publishers’ payment structure incents sales, its partners do not focus on the kinds of analysis needed to stop the declines, and instead they focus on what I believe are bad strategic decisions. WHAT KIND OF BAD DECISIONS? 1.) Publisher sets new national print order based on national sales. For example, if a publisher targets a 33 percent sell-through percentage and ships 200,000 while selling 50,000 copies (25 percent sell-through), the publisher will reduce the print order to 150,000. 2.) The consultant/national distributor is notified of the change and works with wholesalers on appropriate distribution reductions. CAN YOU DETERMINE THE EFFECTS OF PRINT ORDER DECLINE? Yes, you can analyze this question using MAGNET data. For the purpose of this analysis, I isolate one variable. Last Issue Current Draw = 0. That is, a store had activity in the previous year (draw and/or sale) but the draw is now zero. For example, your local grocer used to distribute monthly magazine Y. The wholesaler distributed 36 copies in 2012 (3 copies per issue) and sold 6 for a 16.7 percent sell-through. Based on the wholesaler distribution analytics, the store was cut and the new draw is 0. For this discussion, I analyzed one top-200 monthly magazine found predominantly on the mainline. My analysis identifies cut stores and how they performed before they were cut. Further, I compare these cut stores against overall sales results. In theory, if distribution adjustments were implemented correctly, sell-through percentage should rise as the wholesaler is removing copies from poor performing stores. DO YOU CUT SALE WHEN YOU CUT DRAW? The sell-through percentage of both rows is very close. The cut stores were less efficient than the overall results (16.7 percent v 18.2percent), however the draw cuts ensure this title has lost or will lose 17.8 percent of sales based on distribution work (44,000 copies of the 246,000 copies were sold in stores no longer selling the product). There is a similar pattern in 92 percent of the titles I reviewed. I am not arguing this title should have maintained its high print order. 18 percent sell through is not acceptable, however the cuts did a great deal of damage. THE CURRENT MODEL CUT DRAW FROM STORES THAT WERE SELLING COPIES? HOW WOULD YOU REDUCE DRAW SAFELY? I would like to offer two immediate print order reduction strategies which will cause little to no sales loss. I would like to focus on House/Stock accounts and “low end freezes,” stores sell zero copies yet remain on distribution. WHAT IS A STOCK ACCOUNT? Unfortunately, stock accounts represent a larger than expected percentage of the publisher’s print order. In my analysis, the most efficient titles currently have between 2-3 percent of the print order in stock accounts; however, the majority of titles I analyzed currently have between 4 percent and 16 percent of the print order in stock accounts. Large print order titles (100,000 copies or more) have a smaller percentage of the copies in stock accounts than titles with smaller print orders. WHY ARE COPIES SHIFTED TO STOCK ACCOUNTS? As unit sales decline, wholesalers are forced to reduce draw to poor performing stores. If publishers are not vigilant about making corresponding print order reductions, wholesalers are forced to place these superfluous copies in stock accounts. There are simply no outlets for these copies. CAN THESE COPIES BE REMOVED? WHAT IS A LOW END FREEZE? Wholesaler analytic systems sometimes require distribution of nonproductive titles to fulfill its vision of a successful product mix. Other times publishers demand distribution if, for example, they bought checkout space or a promotion and want to ensure product is available in those pockets. In either example, these stores are given a static amount of copies irrespective of need. To demonstrate this, I analyzed the same top-200 monthly magazine from last week. PUBLISHERS ARE SHIPPING COPIES TO RETAILERS WITH NO HOPE OF SELLING THEM? Note in table two 20,000 copies of distribution netted zero sales in one year yet remain on distribution. Again, 18.2 percent is not an acceptable sell-through percentage. My recommended print order cut of just 1.5 percent (20,000 copies) will raise efficiency to 18.44 percent. Actual cuts represented a 19.4 percent reduction of the print order (263,000 copies) to increase efficiency to 18.51 percent. In summary, the publisher cut 13 times as many copies as I recommend for a 0.07 percent improvement in efficiency. This error is not uncommon. I found 88 percent of analyzed titles could remove 1 – 5 percent of the print order with zero loss in sale (the higher number is found in some checkout titles). 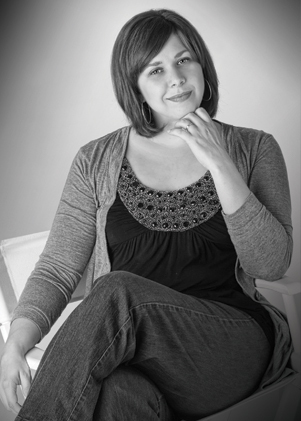 From a publisher’s perspective, there were multiple expenses attached to these 20,000 copies. They were printed, there may have been checkout fees, IPO fees and promotion fees. Further, wholesalers had to pack, ship and merchandise these copies. And for what? Zero revenue to cover these expenses. This is not a successful business model for anyone. ARE THERE OTHER WAYS YOU WOULD CHANGE THE MODEL? First, publishers need to have an understanding of newsstand profitability. My assumption is every publisher has an overall P/L and the analytic publishers have a chain P/L. My model creates a store level P/L designed to demonstrate how individual stores perform for the publisher. The store level P/L is a collaboration with David Ball, former VP of Consumer Marketing at the Meredith Corporation. By analyzing sales at store level, publishers can 1.) Determine what percentage of stores are profitable 2.) Analyze what loss is tolerable. This is especially important for rate base titles might accept a small loss to reach its rate base goal. 3.) Make better decisions on where its product should be distributed. WHAT PERCENT OF STORES ARE TYPICALLY PROFITABLE? It varies based on price and sell through. I will say EVERY title I analyzed – including $9.99 bookazines – distributes to unprofitable stores. I have one analysis to share today: I analyze a top-100 monthly title heavily reliant on subscribers to reach rate base. I have two years of data for comparison purposes. In those two years, this title was distributed to 64,402 stores with a current distribution in 46,964 stores. I created a P/L for this title, conservatively estimating wholesaler terms, RDA and print expense. I DID NOT include rack fees or promotion estimates as I cannot know what the publisher spent. Therefore by not including fees and using favorable assumptions, I overestimated the profitability of this title. WAS THE TITLE PROFITABLE OVERALL? This title lost $0.11 per copy sold. Since it is a rate base title, $0.11 lost per copy is not the end of the world if these copies help reach rate base. The profitability breakdown by store is alarming, however. This title broke even in 19,993 stores or 42.6 percent of the store count. Further, of the nearly 27,000 unprofitable stores, 8,518 (31.5 percent) lost more than $1 for every copy sold. Of those poor performers, 1,462 stores lost over $5 per copy sold! Last point: 2,997 of 17,438 stores no longer on distribution were profitable. A TOP 100 TITLE WAS NOT PROFITABLE IN 57 PERCENT OF THE STORES IT WAS SHIPPED TO? Remarkable, isn’t it? I devised an algorithm to adjust the distribution of this title. This algorithm can be adjusted to the publisher’s criteria, however for the purposes of this conversation, I aggressively tightened the print order for maximum profitability. By trimming copies shipped on unprofitable stores and eliminating stores which were impossible to make successful, I can improve profitability from $0.11 loss per copy sold to profitability of $0.16 per copy sold. The recommendation is to eliminate 4,000 stores from distribution. Further, 25 percent of the print order has been identified as unnecessary and would be eliminated. In my model, sales will be shaved by 10 percent. WHAT IS THE BENEFIT OF MAKING SUCH SHARP CUTS? Profitability and opportunity. I am offering newsstand departments a way to look at distribution in the same manner as consumer marketing. By doing so, both departments align goals and both become more profitable. Two examples: 1.) Consumer marketers can acquire subscriptions year’s subscription for approximately $1 (less shipping and handling). While it is an expense, it is a far more acceptable expense than losing $5 on one copy sold. 2.) Non-rate base titles need to determine if they ever need to be in an unprofitable store and act accordingly. Now with this newfound profitability, publishers can use this savings to enhance any part of its business, including reinvesting in newsstand. BUT AREN’T YOU JUST EXACERBATING THE DECLINE OF NEWSSTAND? No. I am trying to save it! I have a series of recommendations for retailers which I will share at a later date but I have a rhetorical question for you: this title (along with the vast majority of non-celebrity titles) shares pockets with other titles (think SIPs). If this example title loses $5 for every copy sold and is removed, won’t the other titles sharing space benefit by residing in the pocket longer? Therefore, the publisher saves money on the unprofitable title and enhances profit for the other checkout titles. Win, win!! VERY GOOD. WILL THERE BE A PROBLEM IMPLEMETING THIS? Yes, the problem is my model will never be accepted by any group other than the publisher. Since all participants in the distribution channel except publishers are paid based on retail sale, there will be great pushback against this model as I am purposefully reducing sale. Again, my algorithm can be adjusted to reduce sales loss, but nevertheless I am asking trade partners to reduce national sale. This is a terrible business model for them using current terms and conditions. Thank you for the forum, Samir. Stock accounts, zero sale stores and draw/sale analysis is not exciting nor is it revolutionary, but when analyzed with a focus on profitability, our industry can start healing itself. There are a great many other topics to discuss, most notably POS, checkout malaise and how publishers can grow its business using advanced analytic techniques. I look forward to discussing these topics with you in our next Q&A session. 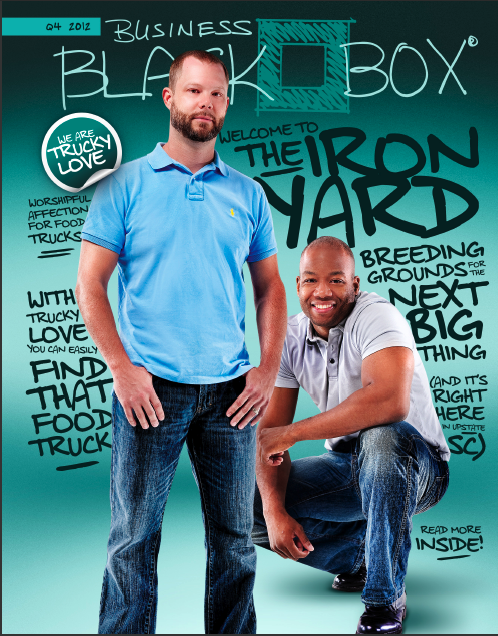 Inside the Black Box of Business Black Box Magazine. Lessons of Survival and An Emerging New Business Model.The Mr. Magazine™ Interview with Publisher Geoff Wasserman and Editor-in-Chief Jordana Megonigal. In 2008 when the business model for magazine media busted and technology burst like an exploding firecracker onto the scene, print floundered like a suffocating fish flopping helplessly on the steps of panic-stricken publishing companies all across the country. It was a bitter pill to swallow…this new age of digital and how print fit into its screen of potential. Even today, years later, some people are still trying to use electric shock to spark some kind of life into the old business model. But you can’t ever go back; therefore your only option is to go forward, unless of course you want to stagnate in the pool of status quo, which I don’t recommend. Enter Business Black Box. They were one of those entities that almost crashed before they left the ground. They struggled with a business model, impressed on them by years of marketing and advertising experience, until one night the idea came to publisher, Geoff Wasserman, to start treating his print publication like a client and use his own experience to the magazine’s advantage. Editor-in-Chief Jordana Megonigal had the editorial genius, he had the marketing experience and together they put together a new business model, one that works for their market. Partnerships with clients who interact with each other and the packages that Wasserman’s team puts together. 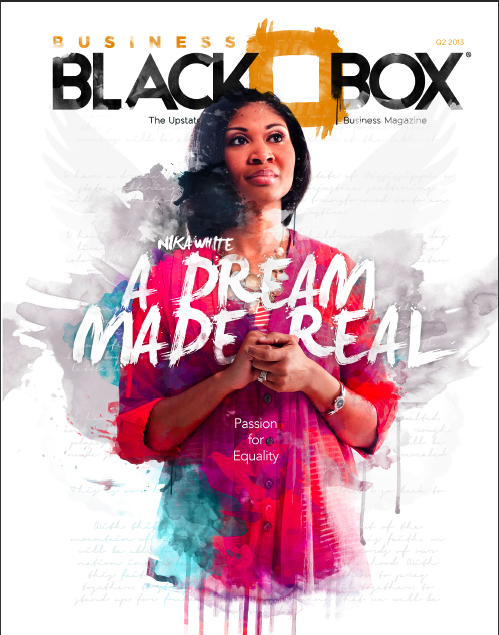 From events to ad campaigns, Business Black Box has a model that, while it may not work nationally, for every magazine publisher, certainly works for them and bears much thought and consideration by the entire magazine media industry. So strap yourself in and get ready for take-off as Mr. Magazine™ interviews the publisher of Business Black Box – Geoff Wasserman and its Editor-in-Chief – Jordana Megonigal. 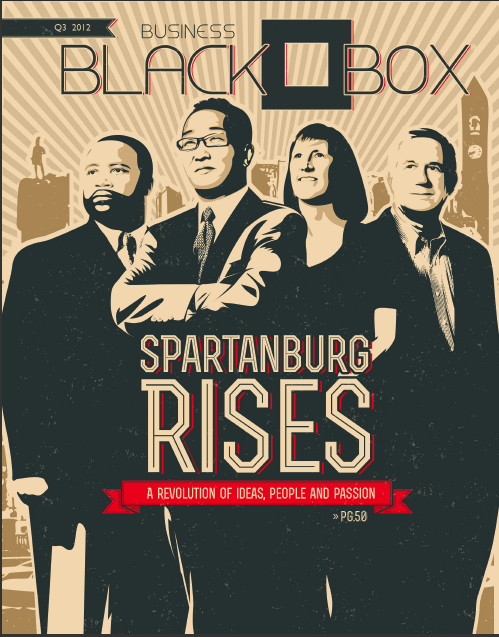 And hey, if the flight is a little bumpy, never fear – the Black Box is with you. On some of those almost-crash moments during the five years they spent trying to find their seat on the plane: From day one we had people saying, truly this is genuinely the best content and the best design publication that the market has ever seen and we were doing nothing with that. We weren’t leveraging that, we weren’t examining our distribution, we weren’t constantly evaluating and changing it, we weren’t listening. On whether “partnerships” might be the entire magazine media miracle for a new business model: Whether or not this would work on a national level, I’m not sure. But what we’ve found here in our market in the second and third tier markets like the Charleston and the Nashville markets, not the New Yorks and the Bostons, second tier cities; is that we are very relationship driven. And now for the lightly edited transcript of the Mr. Magazine™ Interview with the Publisher of Business Black Box – Geoff Wasserman and Editor-in-Chief – Jordana Megonigal. Samir Husni: Tell me the story of the launch of Business Black Box. Jordana Megonigal: When we started five years ago, we went through that phase of what our magazine was going to be, what it was going to look like and what we were going to call it. And we were really stumped for a long time. Geoff Wasserman: And it was a discussion where we said, “Forget revenue with moneyisms.” I mean, we were starting the magazine about a year ago and we had pretty much made that decision. And he said you just have to be true to what you want to be. And, whatever that is, does it distinguish you in the market? Or are you just going to be the same old, same old. So we said, putting money aside; why are we really doing this? Geoff Wasserman: And we said, “Yes! That’s what we want to be.” There’s a place for the other publications: the dailies and the weeklies and a couple of the other monthlies. They cover the who and the what. You know, so and so merged their companies together and it means this much growth. Everyone else is covering the who and the what. So we felt like the why and the how was the stuff behind our mission statement: Our mission is to advise, connect and grow business. If it doesn’t advise, connect and grow business, we won’t put it in our magazine editorial. We said other people are doing the who and the what: here’s a two-page spread of all the business leaders at the cocktail parties. Who’s going where, and here’s the story about the merger, who was hired, and here’s who was promoted, but who’s talking about the company when they failed, when the merger didn’t go through, why, and what mistakes would that entrepreneur had wanted to share if they could be open about it, or what if the merger was successful because of these things. So we said, “What if we could be that layer?” Everyone needs that layer. And this is the layer that’s really going to empower them to grow and maybe inspire them as well. And we said that’s something you can do with plane crashes, when you listen to the black box, you find out what happened, mistakes or malfunctions, and you try to correct them the next time. Maybe we’re not in the business of saving lives, but we’re certainly in the business of making flights better in the future. Samir Husni: During those five years of flight, tell me some of the pleasantly surprising moments you had, and some of the close-to-crash moments. Jordana Megonigal: The first four years were the crash. Geoff Wasserman: Jordana really runs the publishing side of the magazine, but as the CEO of our marketing team, we have almost 25-30 folks. And we are a total marketing department and we interact with digital media for all our clients. The first 3-4 years were very humbling because what we didn’t realize was; we really weren’t taking Jordana and the publishing side on as a true client. We were almost just assuming that because we know marketing and she knows magazines, it was all good. But we really weren’t taking it on as if it was a paid client. We did ourselves a disservice. From day one we had people saying, truly this is genuinely the best content and the best design publication that the market has ever seen and we were doing nothing with that. We weren’t leveraging that, we weren’t examining our distribution, we weren’t constantly evaluating and changing it, we weren’t listening. We were listening to readership feedback, and that was always phenomenal, but we weren’t proactively asking what they’d like to see to drive it to the next level. We weren’t making any kind of correlation between revenue drivers and content, and not basing the two, but saying this content is obviously successful and we need to communicate to the people who make marketing and advertising decisions what the business community, what their audience is saying. So we were doing a horrible job at marketing, but we were doing a phenomenal job designing, laying out and writing a very relevant publication. We had people coming to us left and right saying would you consider sponsoring this event because you guys are really good on Twitter and on social media. When you advertise an event, it really goes well. Would you consider covering us because you cover a story like no one else? But for the first 3-4 years, we were almost in a bag, there was almost a sever between what we were doing and how we decided we needed to monetize it. So after about three and a half years, we had a wake-up call. We couldn’t retain salespeople because it was too hard to retain a salesperson when you only had 4 issues a year to sell. And we were trying to sell things we didn’t believe in. We didn’t believe in quarter-page ads and half-page ads in a local publication one-time. We were finding ourselves having to compromise on the magazine side to drive revenue. And what we truly believed as a value proposition for our marketing companies, which is we wouldn’t make media recommendations to a marketing and advertising client in a local market to advertise a quarter-page ad one time in a business publication. We would recommend that you have a steady presence year-round, closer to full-page ads and highly creative. So we just stopped and we said if we’re going to do this, we’ve got to do on the marketing and sales side what we’ve done on the editorial and design side, which is excellence and stand by what we believe in, or go home. Samir Husni: When was the moment when everything clicked, between editorial and marketing? Geoff Wasserman: I remember distinctly. We have a leadership meeting periodically with leaders, and there are 5 of us who lead the two companies combined, and a few of our innovations that we do on the side. And we decided to meet offsite over a beer and we got to the part about Black Box and we all basically had the general consensus that we were tired of hearing that we’re the greatest magazine in the market and truly, I can’t put this thing down, and it looks phenomenal, and it’s inspired reading, but we’re not making money. So we decided OK, what would it feel like if we made the next issue our last issue? We talked the plane crash out and we said OK, we can live with that. And then there was this stirring of how easy that really would be. Sure, there would be a void in the market. But life would go on. We had to decide did we really feel called to this thing? And if it was something that we felt passionate about, then it was time we stepped up to the plate. It’s obviously way easier to quit. Do we quit, or do we truly push through because it’s something we really believe in? Jordana Megonigal: And we had talked about it about six months prior, before we made the decision to do what we did. About not doing this salutary burnout, but really focusing on exclusive partners. I think we had to get to the point where we were willing to let go, before we could really say, “OK, one last shot to see if it works.” I think that was our point, where we said we really don’t want to let it go, so let’s try one more thing. And that “one more thing” turned out to be the game changer. It tipped the entire table over and changed everything. Samir Husni: Define that “one more thing” for me. Jordana Megonigal: We said that we didn’t believe one-time ads, or running these small ads was what would make an ad work in a magazine. It wouldn’t give us the ROI that we needed. We knew that. Why would we waste our time and the advertisers’ time selling them? We had made a commitment from day one that we would never cross editorial and advertising. And that’s really hard to do in a bad economy, because people are willing to give you a little something if you’ll give them something. And we’d say, no, that’s not an option. We knew most everyone else in our market was running 55-60% advertising to editorial. And we knew that wasn’t an option either because everyone raved about our content, they didn’t rave about the ads. We had these strongholds and we had to keep them. So we created a package that kept those things in place. We decided on an exclusive number of partners, which meant that this page count would never exceed 30% ads. We would grow the magazine before we added partners. So we had that exclusive number in place, we had the package in place that was full-size ads or higher, full-color, we handle the design and the campaign if they needed that, which included event by sponsorship, social media, photography; just an entire marketing package that people need. They think they’re buying an ad and then they get just an ad and it doesn’t quite work the way they thought it would. So we bulked up with a package behind it so it would have a true lasting effect for them. Geoff Wasserman: And I think the realization was this is the way, at least in most global, regional markets; this is the way that magazines are sold in market. And it’s no secret that the industry is struggling and failing, so we were trying to have a successful publication inside a failing model. So we said if we’re going to go home, it’s not a “Hail Mary”. Because a “Hail Mary” is when you’re out of all your other plays, you’re running the same team, the same formula; you’re just throwing it all under one play. But you’re still in the same sixty minutes, the same grid, so we decided if this is going to work, then it really is literally going to be a game changer. These advertisers and readers don’t want 60% ads. Advertisers don’t want to be lost in the clutter, they want compelling and creative, but they don’t want to have to hire an agency and spend 20-30 grand on top of it. We have to have it creative, but they don’t want to get charged for using another publication and we can’t hire a salesperson in this model and pay them enough to only sell ads. So we had to scrap them all and say, “OK, this is the paradigm we think advertisers and readers want. So let’s operate on that.” And if it works, we listen and we adapt it to what the market is telling us. All the changes, as much as we thought they were brilliant ideas, they really weren’t reactions to what advertisers were saying. If you had half the content as other people do, ads would stand out. If you gave me a professional ad campaign that I can’t do on my own, that I can take somewhere else; boy, that would be a nice value. If you told me that as an attorney, my law firm would lock out all the other law firms in town and they could not advertise because I had the exclusive partnership. If you told me as a bank that I could lock out my competitors, all the things that people say can’t be done. Well, who said we can’t do that? We put the numbers together and we said if we could sell 12 or 13 partnerships, let alone sell 120 partnerships, then we’ve got a new model. Not a new way to do the old model, but a new model that not only rights this ship, but lets us take that model and grow it in new markets which we’re looking at now. Then we can go into a new city like Charlotte, Charleston, Nashville or somewhere else, and say we’re bringing a business magazine to the table only if we can quietly presell 8, 9, 10 partnerships. Then we announce that we’re launched and we’re already profitable. Samir Husni: We all know that in 2008 the existing business model for magazines collapsed. And everyone is looking for a new model. And the partnership model, which seems to have worked very well for you in print, many are trying to do it with digital. So tell me a little bit about the power of print and this partnership and the power of print integrated. Because the traditional publisher’s job has changed; you’re not just selling space anymore. You’re selling a campaign, an entire event. Do you think these partnerships instead of advertising could be the foundation for a new national magazine media business model? Geoff Wasserman: I think what’s happening is, and it’s not us just leading the charge, by any means, but when we went through this decision, we went to a publishing conference in Atlanta the first year we started our magazine. See, for ten years we had been a regional marketing and advertising agency thinking about starting a publication. At the conference on the very first day, the first speaker was a guy from a successful digital marketing agency from another market. And he wasn’t a publisher, but he was speaking to a roomful of publishers, and I was certainly out of place, because everyone in the room had had magazines and multiple publications in their publishing companies for years and over the last year or two had started to realize they needed to get more into offering total solutions for customers, in other words, not just print advertising, but how do I help my customer grow and reach audiences where they’re at, using digital media and print. So he was speaking about how the industry was dying and if they don’t start doing more of what he does, they’ll die eventually. And I felt very inadequate when I first walked into the room and that set the tone for me the entire day, because I realized that I was the only guy there that had a full-service marketing agency and I had a great editor-in-chief and that was it. By the end of the talk he was trying to help them understand how they could build what we already had. What he was saying was how you need to be not just a publisher, but be a digital agency/marketing solution for your clients. Admittedly, it took me a while. I’m not the brightest tool in the shed, but I think I catch on after a while. So after three or four years we asked ourselves what is the strength that we have as a company? What’s the one thing we know we’re strong at, figure that out, and then use it. What we realized was that we had a track record of helping companies grow. Oh, and by the way we have this magazine over here. So it wasn’t a traditional “let’s add digital” and try to convert print customers to digital, it was, for arguably the first four years of the magazine, that we had secured a lot of marketing clients by saying, “Mr. Marketing Client, we’ll handle your branding, your interactive, digital media and by the way, if you do all this we’ll also include a year of Black Box. Then we said, “Wait a minute! Same paradigm, flip it.” Mr. Print Advertiser, the other guys will give you a print campaign and maybe a little digital; what if we come and help your business grow? And it’ll be a mix of print advertising, digital, social support; we’ll launch a partnership program, which is where we reach out to every single partner. And as a value added, give us the list of the ten customers that, in this market, you would love to have as customers, but you have never been able to form relationships with, because we have 10-15 years of relationships on the marketing side and also with our other partners. And so over the last couple of months, we’ve been having coffee and lunches and connecting partner in banking with partner in law firm and helping them focus on relationship-building and growing their business. We got out of selling print and we didn’t transition into let’s sell print coupled with digital; we focused on how do we help partners grow their businesses and grow their market-shares. And what we realized was that we had some strengths that we could bring to the table. Jordana Megonigal: Whether or not this would work on a national level, I’m not sure. But what we’ve found here in our market in the second and third tier markets like the Charleston and the Nashville markets, not the New Yorks and the Bostons, second tier cities; is that we are very relationship driven. And so taking two different angles, sticking to our partners and our advertisers, those relationships are vital. And with us saying, “You don’t necessarily want a digital ad. You want people to see more of your business.” That’s the difference. It’s not just an ad buy; it’s about connecting your brand to the people who need to see it. And on the partner side, we’ve done very well in the past year. Are we making those relationships extremely valuable to the point of almost invaluable? Well, I think everybody has renewed so far. On the partner side, I think we’ve got something that works very well in our market. I’m not sure it’s nationally feasible for someone else, but on the reader’s side, for the interactive and the print; that is something we’re highly focused on this year. We kind of know where the trends are in our market, and now that we’ve righted the ship, we’re looking at what does a daily, or a weekly, or some consistent digital format look like for us, because it’s not going to look like someone else. We’re not going to replicate or copy. We’re going to figure out what does Black Box look like in that type of format. So we’re in discussion about that now. How are we targeting our social media? How are we looking at our website? We’re probably going to do a complete overhaul again this year. Geoff Wasserman: Even our events have increased. We have the traditional local and regional publications that do the types of events where you come in, you get a breakfast or a lunch, you hear a speaker and hopefully you meet someone. Our events have stepped up in number and in the type of events we do. Our events have always been the opposite of the traditional. That’s an old model that doesn’t work. People can get information any time they want. They want a highly-targeted reason to get together and a highly-targeted audience to connect with. So the partnership program allowed us to identify people who are vested and have a vested interest in connecting and growing business together, and so then you have a handful of partners who understand and who are involved in advertising, not advertising buys. They’re involved because they all want to help their businesses grow, then you have the event and you bring them together for an hour and a half and it’s about introductions and connecting. It’s roundtable events versus linear me-speaking-to-you. It’s bringing a community of businesses together and letting them connect with each other. So it’s a much more powerful and different focus than having the old model event of the dances and the chambers, especially in this economy. People are hungry for business, and business starts with relationships and getting a chance to expose your brand and that doesn’t happen with traditional models of advertising. Samir Husni: Do you now feel at ease being on auto-pilot, or are you still digging into the Black Box? Geoff Wasserman: I will tell you this, I will give Jordana the credit. Editorial-wise, she has always been, on every issue, the one saying, “How do we do better?” On the marketing side, I think about 60 days after we sold out, we had a five-year anniversary party where everyone was involved. We went through a period of about 45 days where we said let’s soak in this moment and let’s enjoy it. It’s the end of the year, so let’s just celebrate. So we stopped for about a month. Then the first of the year we got going. We raised our prices again, we’re launching a second publication, we’re about halfway through our look into a new market, we’re expanding and we actually just announced that the next issue we’ll be adding 20% more content. That allows us 5 more partnerships and we’ve already sold out two of them. We have waiting lists which we’re going back to and selling those, so we’ll be sold out by next issue and up to five new partnerships. We did what most people don’t do, which is stop and celebrate what you’ve built and then get back to work. Because if we don’t, it’s only a matter of time until someone else in the market is going to say look at them, why don’t we do it as well. And there’s some smart people in this market and some great brands. We took a month to just breathe and then got back to work. Samir Husni: Jordana and Greg, what keeps you up at night? Jordana Megonigal: We’ll probably both say kids keep us up at night. But when it comes to work, for me, I’m in the position of, I love what I do. I just adore my job. I love the people I work with and where I work. So what keeps me up at night more often than not and my husband will probably agree with this, is that I’m working and trying to get to that next level. I’ve cultivated five years of working consistently and trying to get that next level; asking myself what can we do and what can we do bigger and better. A year ago if you’d asked me that I would have said sales and paychecks. But now it’s that difference of reading something online and thinking, ‘Oh my gosh, we can take this and adapt it and we can use it,’ shooting emails back and forth on a Saturday. I think it’s just shutting down the brain now is far more difficult than before. It’s not such a stress level, but it’s a constant crutch and a constant drive. Geoff Wasserman: What keeps us up at night has shifted from how do we find our place in the market and compare ourselves to it, versus compare ourselves to our potential. And every business struggles with that. And we finally made that shift of where we don’t stay up at night anymore comparing ourselves to others. Because we’re only going to be judged on the potential we’ve been given, the gifts and talents that God gave us. What have we done with them? That’s what keeps me up at night is this thought that we have to do so much more, and not for the sake of just doing it. The second publication we’re about to launch is an annual and it is 35 extraordinary stories of entrepreneurs who made it through the start. The publication is called “Start.” It’s designed to share 35 unbelievably inspiring stories, not just so these 35 stories will be highlighted in this market and leverage their brand in the market through publication, but for the next Geoff and Jordana to say what it looked like to have a press release start. So we had this really cool idea to put together this collection of really inspiring stories that we could have read last year, that would have helped us to push through. Scoring a Strike Every Time When it Comes to Print and Digital Playing the Game Together. Bowlers Journal International Celebrates its Centennial. 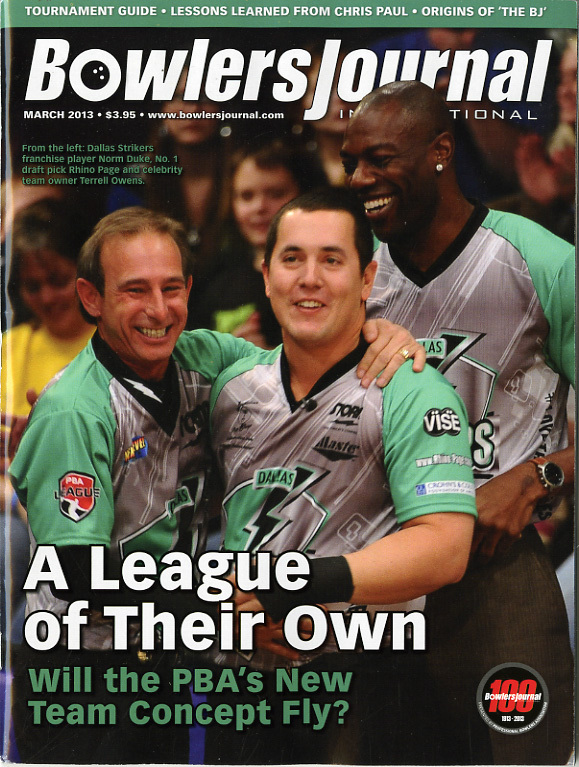 The Mr. Magazine™ Interview with Keith Hamilton, President, Bowlers Journal. Bowlers Journal is celebrating 100 years of print survival. And it’s not just a survival story; it’s one of staggering success as well. Since its inception in November 1913 the magazine has never skipped an issue. During WWI, WWII, September 11, you name it, Bowlers Journal was always there, month in month out. Keith Hamilton, president of Bowlers Journal, is passionate and futuristic when it comes to the sport of bowling and his magazine. He believes in Bowlers Journal and in its niche, people who are as fervent and in love with the sport of bowling as he is. Print always has been and still is today, the mainstay of Bowlers Journal, but Keith Hamilton isn’t afraid of the future. Digital integrated with the ink on paper product is serving his vision well. Read about the credibility he believes print offers to the reader and also the fun the digital ball of Bowlers Journal Interactive gives to that consumer who loves playing the digital field. Because to have survived for 100 years is a monumental feat on its own, but to grab onto the next 100, he says you have to offer the reader something new and different, but maintain that vision that the magazine focused on in the beginning. 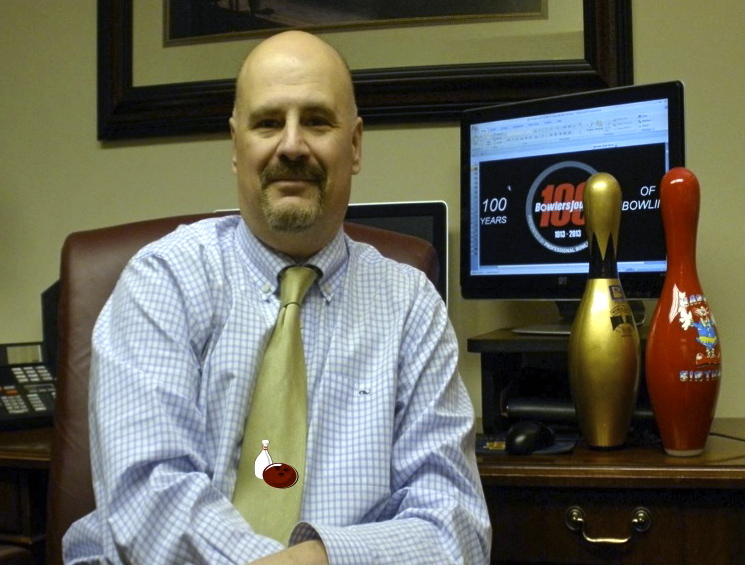 So slip on your bowlers’ shoes and get ready for a perfect game as you read Mr. Magazine’s™ interview with Keith Hamilton – Bowlers Journal’s strike-king for the future. On the reasons behind the success of a specialized sports magazine that has withstood the test of time – 100 years: There’s one reason for that. And it’s not anything that we might be doing particularly well. It’s the industry that we serve. We’re lucky. Bowlers are a very loyal, passionate, wonderful group of people who just love doing what they do. On how digital has impacted Bowlers Journal – the print product: We noticed that within the bowling business itself, these demographics, or different areas within the business of bowling, were becoming more targeted. So what we did in that point in time was not touch Bowlers Journal; what we did was add magazine titles. On how the print magazine is basically divided into 4 sections and which one is the driving force behind the magazine’s continued success: We actually did a reader’s poll within the magazine and that exact question was asked, and the number one – let’s call it theme – that our readers enjoyed, and this may floor you as it did me, was opinion pieces. On looking to the future and five years from now; what would be different from today: I don’t know what’s going to be different. But I know we’ll be in a position to adapt; whether it’s going to be more of an online presence or more of going back toward print that I don’t know. Things are changing so rapidly. But I know we’ll be in a position to adapt either way. And now for the lightly edited transcript of the Mr. Magazine™ Interview with the president of Bowlers Journal – Keith Hamilton. Samir Husni: Congratulations on reaching a major milestone in the magazine business. You’re celebrating the 100th anniversary this November of Bowlers Journal. What is the secret of survival for such a specialized magazine that deals with sports? 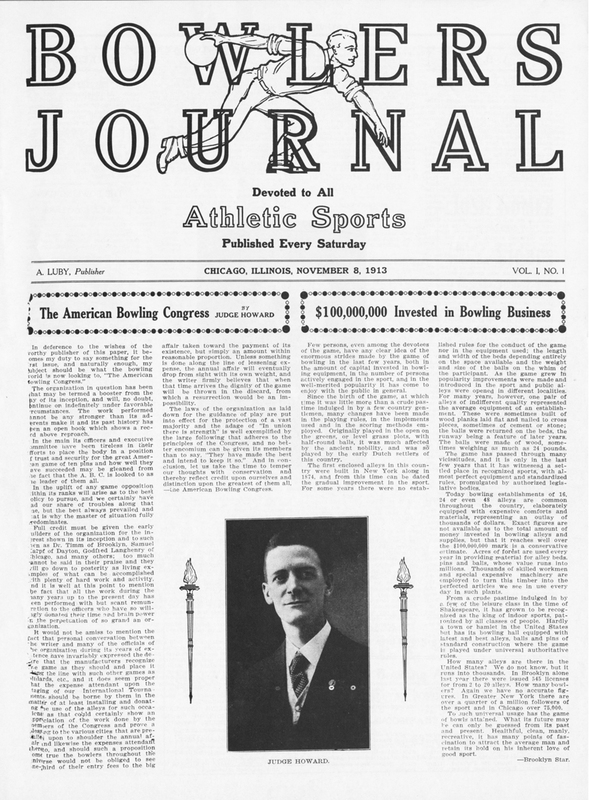 And why is Bowlers Journal the only sports magazine that has been continuously published for one hundred years now? Keith Hamilton: There’s one reason for that. And it’s not anything that we might be doing particularly well. It’s the industry that we serve. We’re lucky. Bowlers are a very loyal, passionate, wonderful group of people who just love doing what they do. They love their families. Hopefully, they love their jobs. But the readers of Bowlers Journal love bowling. And they want to know everything about it. So we’ve always kept our niche and we’ve always understood who our market was, not that we wanted to reach every league bowler in America, because we didn’t think that readership would really matter. What mattered is whom we go to. If we’ve made it one hundred years and we want to continue that legacy, we want that type of reader, someone who is really involved in the business, either as a bowler, a bowling center operator or a Pro-shop operator. There are actually segments within this huge industry that we cater to. But I’ve got to give all the credit to the bowling business that supported one magazine through the Great Depression, two World Wars, 9/11…so very much. Thank you bowling. Samir Husni: Do you think that this secret recipe – this passion of the audience – do you think that it’s something that we’re missing in today’s magazine media publishing? Keith Hamilton: What I see going on is that people are forgetting about loyalty. It’s what can you do for me, or what tools are available to me? That has become quite apparent, I think, throughout media. The bowling business…well, we’re lucky. The industry itself is going through a transformation or a renaissance. It’s downscaling in some areas and booming in others. Actually play has increased dramatically over the last several years. I don’t know if it’s anything different about bowling, per se, compared to the other industries, it’s just that people who are a part of bowling are just a bit unique. They’re a different audience. Of course, you have to stay contemporary and current when it comes to technology. You always have to take that magazine and every four or five years, you have to do some monitoring, possibly do a different look, maybe nothing dramatic, just a different logo. You always stay on top of things. And you always have to introduce something new. Even though you’re a hundred years old, you still have to bring something new to the reader, the loyal ones or just someone who wants in-and-out information. Samir Husni: Bowling is such an interknit community, and Bowlers Journal has been, not only the voice of that community, but anything related to that community, from the business side and from the consumer’s side. These new communities that are being formed by social media, by the web, by all things digital; how did that impact Bowlers Journal, the magazine? Keith Hamilton: That’s a terrific question. I’ll go back to 15-16 years ago. I can be that precise because of targeted marketing. Even before the internet, targeted marketing was coming in to play. And we noticed that within the bowling business itself, these demographics, or different areas within the business of bowling, were becoming more targeted. So what we did in that point in time was not touch Bowlers Journal; what we did was add magazine titles. 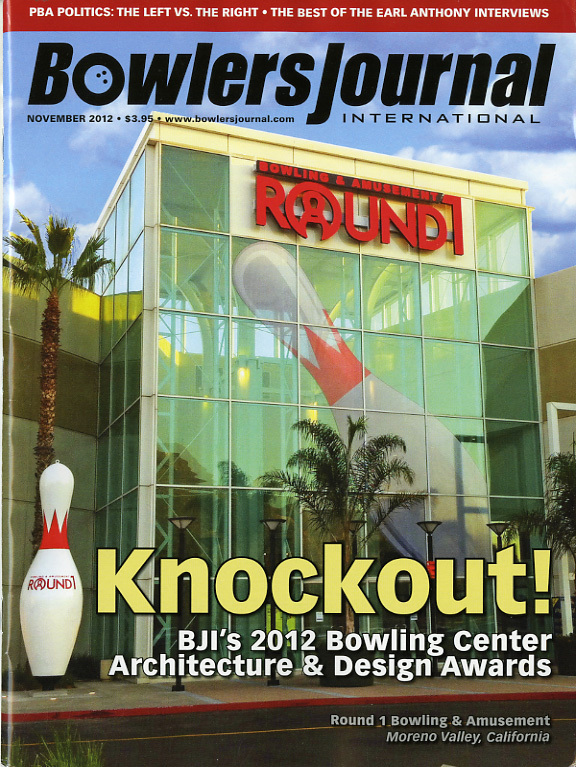 And through partnerships within the industry, ones we strike with the trade organizations, we developed Bowling Center Management, which is a magazine meant just for bowling center operators. No consumers, it’s not Pro-shop related, it’s all bowling centers. About six years ago we did another magazine just for the Pro-shop operator. Because of that targeted audience, we’re making certain that we add new products to cater to that niche. But Bowlers Journal is always the hub; it’s always the mainstay magazine. Now I will admit Bowlers Journal today, compared to 15 years ago, we are becoming a lot more targeted in our readership, in terms of our presentation for the consumer. We’re definitely a lot more of a consumer magazine today than we were 15 to 85 years ago. Because of our other magazines, it’s allowing us to do that. It’s allowing us to be more targeted to the consumers. Samir Husni: I see that the magazine is divided mainly into four different sections, and I have a suspicion that the Clinic is maybe one of the most-read sections of the magazine? When you look at the four sections: the Inside Line, the Pro-Bowling, the Clinic and the Business Side; which do you think is the driving force behind the magazine today with, as you mentioned, the fact that you’re moving more toward the consumer than anything else? Keith Hamilton: Your question is amazingly relevant. Our April issue was out last Friday, and I wrote about that very thing. We’ve been conducting surveys, because you always want to survey your membership. We actually did a reader’s poll within the magazine and that exact question was asked, and the number one – let’s call it theme – that our readers enjoyed, and this may floor you as it did me, was opinion pieces. They valued the opinion writers of the magazine, and there are four of us, on the industry as a whole, more than anything. And that convinced me one more time that our readers are different. It separated our reader from the average reader and showed how dedicated they are. And then number two – very high up, of course, is Clinic. Anything to do with teaches-me, anything to do with instruction. You can never give enough instruction or how-to to an individual, be it consumer or trade. Consumer is obviously performance. The trade you can very easily give bowling center secrets of how to work the bar or 27 secrets told by bartenders who might be stealing from you, and you tell them how to prevent that. So it’s always the instruction that does well. You’re right on with it, yet there’s that strange thing out there that our people like opinion. Samir Husni: Do you think it’s because the opinions are in print and that point differentiates it from just the news? And can you envision this same connectivity with your readers if the magazine was an online entity only? Keith Hamilton: I’m biased. Yes, to answer your question. We have a digital magazine, it’s a brand new one and it’s fantastic. We have our newsletter emails, pretty much like most publishers do. But there’s still something to the value of print. And it’s the print publication that makes you the expert, so to speak, within the industries that you serve. It’s, at least today and I think in the future, where it’s at, in terms of the credibility you have within the industry. You mentioned our opinion pieces not being newsy and you’re right. One thing we can’t do today is expect to be a “news” magazine when you’re out every month. We used to pride ourselves on that, but that’s not the case now when people can get information just like that. So our opinion pieces aren’t necessarily newsy and they’re not going to bring any information that someone doesn’t have, so we have to delve deeper. We have to find things that people don’t know, and that you won’t find anywhere on the internet. But as far as getting that credibility, it’s clear when serving a niche or a trade, or a targeted group of people, it’s in print. Samir Husni: I think LPI is one of those best-kept secrets in our publishing industry, especially when it comes to sports, I mean; Luby Publishing Inc. is a hundred years old. And I noticed on the masthead, almost all of the previous presidents or publishers had Luby in their last name; so tell me how Keith Hamilton became the president of LPI? So my sister knew somebody who knew Mort Luby and Mort Luby Jr. is an icon in the bowling business. Of course, I didn’t know him. Oddly enough, my father had heard of him. Then one day I met him, and I was hired to clean up. A couple days later they moved me to the office to work on the tournament, the Bowlers Journal tournament, and then one thing led to another. He paid for my grad school and I worked for him for several years as a way to pay it back and we just really hit it off. I really have a lot of respect for Mr. Luby and the Luby family. I mean, how brave it was a hundred years ago to have been a shoe salesman, as Dave Luby was, and to have the guts without the know-how to start a magazine. I just wonder what he would think today. And Mort Jr., he’s a cultural type of guy, sophisticated and well-spoken, completely opposite of me. But we hit off well because I respected Mort for his talents and he respected me for my business side. I’m not a journalist per se; I’m more of that publisher and business grinder. I look at the numbers and marketing. I do write a column, but that’s just because I own a magazine. But I saw something good when I came here. I liked it and I’ve always felt comfortable here. And I really respect Mr. Luby. So I said to myself, I think I’m going to try it out and one thing just led to another. Samir Husni: What keeps Keith up at night? Keith Hamilton: You know the older I get, I find I just can’t sleep anymore. A lot of times you can’t sleep because you’re worried. You’re worried about what your competition is doing. But I’m more worried about what we’re not doing. Then there are other times you’re just excited. You’re just pumped up. And fortunately that’s been my feeling lately. And it’s all to do with our 100th anniversary. No doubt about it. It’s all given us a little extra hop in our step. There’s just so much we can do, so much fun stuff that you can do for a 100th anniversary. It just comes down to financial resources and time. But the list of what you could do is endless. Samir Husni: If I speak with you five years from now and say, “OK Keith, now we are celebrating the 105th anniversary.” What would be different then? Keith Hamilton: Well the 105th certainly doesn’t have the same ring as the 100th. In 105…I don’t know what’s going to be different. But I know we’ll be in a position to adapt; whether it’s going to be more of an online presence or more of going back toward print that I don’t know. Things are changing so rapidly. But I know we’ll be in a position to adapt either way. I really like the direction we’re taking now. We have Bowlers Journal Interactive, which is a digital magazine that goes to 800,000 bowlers. Those names that we’ve collected through partnerships within the industry, thanks to the United States Bowling Congress and the Professional Bowlers Association, we are able to work in conjunction with them. We’re able to deliver their members a great product for free. And at the same time we can sell advertising to this new expanded audience in this new product. A totally different target than we go to now. So I imagine in five years that Bowlers Journal Interactive could end up being a pretty important deal to the industry. Samir Husni: And if I ask you to summarize everything we’ve discussed, what would you say? Keith Hamilton: You must have the magazine. That magazine will tell you everything you need to know about what’s going on in the bowling business. It’ll tell you the trends that you need to be aware of. It’ll give you all that information as well as the techniques, tips and the opinions. But trends are really important and Bowlers Journal will cover that. The fun thing that we’re noticing now is that we have this huge retro phase going on in the bowling business, and how cool bowling has become. And there are these new beautiful bowling centers being built where you go in to bowl – yes, but there’s a pool over here and a martini bar behind you and a five-star restaurant over there. Bowling centers being built today are completely different than they were 30-40 years ago. That has caused a lot more people, new and younger people, to experience bowling, who otherwise wouldn’t have been exposed to it. The shirt I’m wearing is devoted to our 100th anniversary, but this is unbelievably tame and boring compared to the bowling shirts and shoes that you see out there today. People love them. And throughout America the bowlers are wearing them and the non-bowlers too, which is great. Bowlers Journal is critical to the business because we recognize that no matter how fancy and fun the industry is getting from an entertainment standpoint, you need to remember bowling is a sport. Bowling needs to be recognized as a sport for it to be able to survive at a competitive level. Bowling needs to be a sport for your readers, and the youth who aspire to become pro-bowlers, or to go to that next level, bowl in high school, bowl in college, or bowl at the Olympics. There are 3,000 high schools that have bowling as a lettered sport. So the industry has really done a terrific job of recognizing where we need to be. And our trade groups, as well as our consumer groups, recognize those areas that we need to cater to and do a better job marketing to. It’s bearing out to a really good bowling future. Samir Husni: Anything else you’d like to add? Keith Hamilton: There’s a new professional celebrity bowling league that was started by the Professional Bowlers Association and it’s brilliant. In order to gravitate more toward celebrities and we know that today celebrity is the buzz-word; anytime anyone goes out with a celebrity it receives media attention. We know this from Twitter and Facebook, more now than ever before. And the PBA recognizes that as well. The PBA has a lot of interest from celebrities to bowl. There are many more bowling parties being conducted in bowling centers today by athletes and by celebrities overall. The PBA sees that. They’ve connected with some celebrities in terms of owning a bowling team. And I promise you, no one has gotten a $1 million check to be responsible for these five people on a professional tour. But what we hope to have happen is Terrell Owens or Billie Jean King, who were actually at the tournament of champions on TV during the whole 90 minutes, they own a bowling team. And it is our hope that they will bring their members in, their friends to come in and support the PBA and maybe right out that big check that the PBA would like to have happen. That’s how they see themselves growing, through corporate sponsorships. And what’s the best way to go through corporate sponsorships? It’s connecting with the people who have the money, and who people want to be around. So that’s what they did and I was really impressed with the people who they have onboard. These are individuals who like bowling; Billie Jean King, whom I had met before, she’s world-renowned and famous for a lot of reasons, but likes bowling. And one our best NBA players, Chris Ball, he’s a bowling nut. He’s an excellent bowler as well. And in November, we’re hoping to have a nice little party in Las Vegas to tie into the new bowling season. Gregg Hano to Samir Husni: It Is All About Humans and the Human Brain. The CEO of MAG+ on the Integration of Magazine Media and The Need to Create a New Business Model Based on Building Communities and Creating Memberships. The Mr. Magazine™ Interview. When you find out that the iPad is having its 3rd birthday, you’ll probably have to shake your head a bit in an effort to add a few more numbers to the age of the apple of Apple’s eye. Has it only been three years since the heavenly scroller was created? Yes, 3 years old today. But three years in the life of technology today, would compare to a century in years past. Technology is advancing so swiftly and at a speed that you can’t even imagine, much less realize, it confirms what I’ve been teaching and preaching lately: it is much more essential today to invest in human technology – customer, audience, viewer or user, because in this digital age humans are outlasting the technology. Gregg Hano is CEO of Mag+, the touchscreen publishing pioneer. It is his job to stay one step ahead of this fast-paced beguiler we call technology. The following is the Mr. Magazine™ interview with a 30-year veteran of magazine media who comes face-to-face with obsolete on a daily basis and has learned to smile and move on to the newer version. He is a man with a passion and an excitement for the industry, the business of software development and especially for the technology he admits he’s still learning about. So sit back, grab your iPad and sing it a chorus or two of Happy 3rd Birthday and enjoy Mr. Magazine’s™ interview with Gregg Hano, CEO of Mag+. On how the audience is adapting to this rapidly-changing technology: What we’re seeing is an evolving human being. While it took some time to get to this place and we saw the same thing with the web from 1995 to 2007, 2008 and 2009, I think the same sort of migration or evolution is what’s happening right now with humans, and not with just content consumption, but with the way that they run their lives. On why some publications that killed their ink on paper versions couldn’t survive as digital-only, even with all the creative enhancements: I think that the answer is in really building out communities and a membership model that includes all of the different types of content consumption devices. So I think that a premium print publication is extremely important to how brand content gets out, that a dynamic website, an html-type website, is extremely important and clearly apps are one of the content strategies, both apps that come out on a monthly basis or special interest pubs that we used to call SIPs. On whether Mag+ believes ink on paper print limits creativity: We believe very, very strongly that a beautiful, rich print product that comes into your home, that sits on your coffee table, that you read in a relaxed moment and that says something about who you are is absolutely for many people one of the core parts of the brand. On where the business model is moving in terms of teaching people to pay for apps or using apps as just an enhancement for the print subscription? I think the bundling of the content and thinking about the consumers as tribes or as communities that want to consume that content is the first step. You have to really think about how you’re going to deliver a bundle of content to the consumers. And I think that one of the core issues is that this is the moment to reset the consumer marketing pay model. And now for the lightly edited transcript for the Mr. Magazine™ Interview with Gregg Hano, CEO of Mag+. Samir Husni: It’s hard to believe that the iPad is only three years old. It seems that it’s been around for much longer. Where humans used to outlive technology, nowadays it would seem technology is outliving humans. The growth span of just three short years compares to yesterday’s century when you think about how fast technology is advancing. How do you think human beings, our customers, our audience is adapting to all this changing technology? Gregg Hano: What we’re seeing is an evolving human being. As Moore’s Law continues at that same pace the reason why it’s moving so quickly, of course, is because of the speed of the processors and what used to be a huge main frame from the 60s and 70s is now the size of a handheld iPhone. While it took some time to get to this place and we saw the same thing with the web from 1995 to 2007, 2008 and 2009, I think the same sort of migration or evolution is what’s happening right now with humans, and not with just content consumption, but with the way that they run their lives. I always say to people when I start a presentation; I graduated from college in 1982 without ever having touched a computer. And here I am now the CEO of a software development company. And I think that what happens is you get introduced to a technology, see how much of it works for you, integrate some of that into your life and then you take the next step. I remember when people were afraid of buying things online and today there’s just as much bought online as in brick and mortar stores. And banking is another area. So I think in the area that we’re so in love with, content consumption, we’re seeing this evolution that only started three years ago and people are beginning to embrace different parts of it, the parts that work for them in their lives, and I think that that’s just going to continue for as long as we’re around. Samir Husni: With all this new technology, why is it that some print publications that killed their ink on paper editions, couldn’t survive on a digital-only platform? Going as far back as 2006, there were many magazines that went digital-only that couldn’t make it for more than one or two years. Yet your publication, Popular Science, did do well digitally. But can it continue to thrive if you kill the print edition? Gregg Hano: I think that the answer is in really building out communities and a membership model that includes all of the different types of content consumption devices. So I think that a premium print publication is extremely important to how brand content gets out, that a dynamic website, an html-type website, is extremely important and clearly apps are one of the content strategies, both apps that come out on a monthly basis or special interest pubs that we used to call SIPs. I think that breaking news in the subject areas of a brand, or perhaps events, webinars, are all extremely important parts of a way that a brand and gets its message out, but more importantly, connects with its consumers. You need all of the parts. I was over at Outside Magazine recently, which is one of our great customers, and they have an extremely large television/video portfolio, another extremely important part of all of this. Our friends over at New York Magazine, who earlier this week launched their new app, have really integrated web and what we would have called print, and now tablet content, into one app. So I think the answer to the question is it’s really a lot of different avenues, a lot of different media that will give the brand the best chance of success. And I think that print is one of the very strong areas, issue-based print, but that is just one of a series of areas that content owners need to consider as they’re delivering their content to consumers who want to pay for it. Samir Husni: I want to ask you about a quote from a press release for Mag+ made by Mike Haney, to paraphrase, “Paper dinosaurs limit creativity.” Then it basically reads but what you are offering at Mag+ instead enhances that creativity. What would you say to a critic that would ask you if you thought Shakespeare was limited in his creativity because he only had ink on paper? Gregg Hano: Mike Haney is one of the biggest supporters of printed media and believes strongly in curated content, issue-based curated content. We at Mag+ are all aligned in the fact that publishers that are creative, forward-thinking, that are looking at new ways to engage audiences and have them pay, simply enhances the brand’s equity and good will with those consumers. And we believe very, very strongly that a beautiful, rich print product that comes into your home, that sits on your coffee table, that you read in a relaxed moment and that says something about who you are is absolutely for many people one of the core parts of the brand. Along with that there are so many other ways now for brand owners and content owners to connect with consumers willing to pay for the content and I think that’s really the key – stick to really great curated, issue-based content. But think about how you can reimagine both the “issue” and how you distribute your content to those customers so that they can consume it in whatever format, on whatever devices and at whatever time suits them. Samir Husni: I noticed that a lot of your clients, whether it is WebMD, Toyota, Outside, Shape, are aimed at, not the digital natives, but the digital immigrants. Do you think the digital natives are leaning more toward the digital-only platform and the digital immigrants are still enjoying a mix, or are the digital immigrants as platform savvy as the digital natives? Gregg Hano: Many of the digital natives do like the tablet editions or websites, but I think there are also an awful lot of them who appreciate the rich feel of a print product. A lot of my friends like The New York Times web app, but also happen to love stretching out and reading the entire Sunday New York Times. I think that the digital natives, the ones who’ve been with it for quite a while, are interested in both the print and the digital enhancements that come. I think that the digital immigrants who are migrating there now clearly still have a somewhat stronger feel for the print products. I’m thinking in this scenario about my wife who absolutely loves her print brands and is now migrating over and finding the enhancements that come with the digital product. But I think it’s all part of this evolution that we human beings are going through right now as we have so many more options in ways to consume content. Both groups like both products, I think. It’s just when the right time is to consume it and in what format. Samir Husni: You were able to, through Mag+ and the development of the software, move some of what I call “The Welfare Information Society” that media folks created for the web, where we give everything for free and we hope that advertisers will foot the bill, with the apps, you were able to move to a point where consumer revenue was generated. So how do you see this changing business model – when you have a company like Condè Nast, where you subscribe to GQ or Vogue and you get the whole thing, or a company like Hearst, where you subscribe to Good Housekeeping and you get the print edition only? If you want the digital, you have to pay for it. Where do you see this business model moving in terms of teaching people to pay for apps or using apps as just an enhancement for the print subscription? Gregg Hano: I think the bundling of the content and thinking about the consumers as tribes or as communities that want to consume that content is the first step. You have to really think about how you’re going to deliver a bundle of content to the consumers. And I think that one of the core issues is that this is the moment to reset the consumer marketing pay model. And I urge anyone who cares to listen to strongly consider how they can make consumers pay by bundling their print, digital and other special items: breaking news, webinars, I’m not just focusing here on print and tablet. All forms of content into one membership or super-subscription. Should there be a silver, gold and platinum type of subscription or membership to this community that have like-minded people who share the vision. Both for the content and, quite frankly, for the advertising which is content in special interest publications. I like what Hearst has done. I think that they have been very successful. John Loughlin said the other day they have 900,000 paid digital subscribers and I think that’s a very exciting start. And I think it proves that people are willing to pay for content. And our customers from Popular Science and Popular Photography on have proven that when you have brand equity and good will with consumers and you deliver great content in formats that the consumers want to consume that content in, they will be willing to pay. So this is the moment to reset that pay model and I think that we all should take advantage of that. Samir Husni: Why are the advertisers not following the consumers lead; why are they paying pennies on the dollar for digital ads compared to print? Gregg Hano: There’s digital web and there’s digital tablets. As I said earlier, I was with some of my friends at Outside Magazine recently and they were sharing with me the ad model that they use, which is selling category-exclusive sponsorships to many of the advertisers that are in that space. And they’re doing very, very well with that effort. Popular Science, Wired and several other brands have seen really good ad creative. And I think that we’re going to see more and more as the agencies become better-versed in how to create this ad. We’ve seen a Kashi ad, for example, in Shape Magazine that’s really great, the digital belly band that Pop-Sci is doing with BASF and the Avis ad that we’ve seen, and the Shake Me ad that came out of Publicist, all really good creative. And I think that two of the most important things that we need to see happen to increase the ad is that we need to continue to see engagement rise, and we are seeing engagement move in the right direction, and we need to get some consistent metrics across platforms and devices to share with our advertising agency partners to prove that the people are seeing the ads. And I think the work that’s being done, both by the MPA with the tablet metrics taskforce and to a great degree by the AAM in auditing that is a great first start. So we, as publishers, prove that these ads are engaging, the people are seeing them, I think you’re going to see an increase in the number of ads and the quality of the ads that are being placed on tablets and smartphone publications. Samir Husni: How would you describe the current status of the industry today? Are we in interesting times, intriguing times, pleasant times, or doom and gloom times? Gregg Hano: I think that we’re in the most exciting times we could possibly be in for brand owners that have quality products that have great brand equity and good will with consumers. Right now is an incubator moment. When publishers and content owners can rethink ways to enhance their brand message, get their beautiful, curated content into the hands of interested consumers, and identify new consumers for the brand, which is clearly one of the things that the tablet is doing, it’s bringing new consumers into the brands, and finding smart ways to monetize it, both with consumer marketing and advertising. And having spent 30 years in the traditional magazines and then web media and now to find myself in this position of working with publishers and helping enable them to create and sell great content, I just couldn’t think of a more exciting moment to be in the industry that we’re all in. It’s not easy. And it’s early days for digital publishing, but it simply couldn’t be a more thrilling and exhilarating time to be doing what we’re doing. 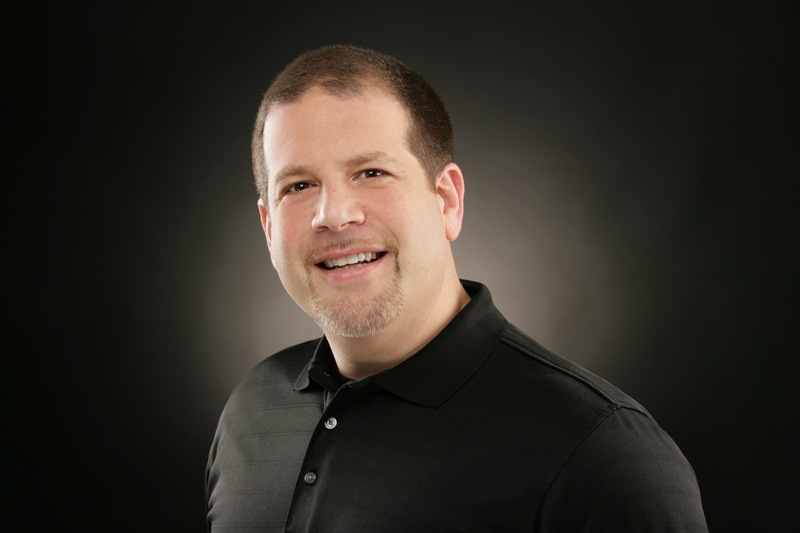 Gregg Hano: One of the things that keep me up at night is finding ways to help our clients grow their business and I think that app discovery and marketing is still an area of real education and learning. I think it’s something that we collectively as an industry should think about and try to find ways to share ideas and help with discovery and marketing. The fact that technology moves so quickly, I mean, back in the day we were asked to write three year plans. To sit down right now and to try to write a three year plan for Mag+ or for any brand would be a very challenging exercise. Who knows where it’s going? In my world, where development is everything and having to keep up with, not just our friends at Apple and IOS, but all the different platforms that are coming out and all the different products that are coming out on Android, now with Windows 8 and other platforms, it is the fragmentation of the devices, the screen sizes and then the speed with which these products will become obsolete and then we move on to version 3.0 or 4.0 and so on of the tablet and smartphone means that we have to be ahead of it and write code to support those. And that is a whole new way of thinking. It never ends. It’s constant evolution. It’s constantly being on the front end looking out ahead and making intelligent bets on which platforms to put resources behind when. And I think those are two huge issues: app marketing and just the constant evolution of the technology and with our organization here at Mag + trying to stay ahead of it. Those are the things that keep me up at night. Samir Husni: Technically, we just came full circle, back to the human technology. Gregg Hano: Yes, at the end of the day it’s all the brains of the people who are doing the work that make it happen and again, it’s part of the exciting world we’re in. I’ve learned more from the developers and guys like Mike Haney and our Chief Product Officer, Peter Vincent, than I ever thought I would learn at this stage of my career. It makes you feel like you need to go back to school and in a way what I’m doing is going back to school and learning a whole new business. But it’s simply thrilling. Samir Husni: Any final thoughts? Gregg Hano: I think that one of the most exciting things that we’re seeing is publishers working very, very hard to get consumers to come back to their app day after day and time after time and solve what I call “the other 28 day problem.” And I think what New York Magazine has done by releasing on our platform their new product which launched April 1 and integrating both web and tablet print is really exciting because they did an awful lot of smart research. They saw that there was a real increase in the usage of their website between 5-10 p.m. And they really wanted to integrate the content into their “magazine.” I think what they’ve done is used our SDK (Software Development Kit) to find a way to marry these two really important content areas: web and digital print. And I think that what they’re going to prove is that people will be willing to come back and use an app day in and day, over and over, and it’s going to make the print digital edition, the weekly or the monthly issue, be read more. It will have a longer duration of time-spent with the app itself, and I think it’s going to be a very, very interesting new product on the market. And I think that what they’ve done and other publishers like our friends over at August Home are doing in parsing out content on a more regular basis is really exciting. And rethinking, reimagining what their business can look like, both as far as the issue is concerned and then the enhancements around the issue is also exciting. Don’t Let Digital Scare You: The Power of PRINT Integrated! A Website Can Strengthen a Print Magazine and a Print Magazine Can Strengthen a Website. Now There’s an Idea! The Mr. Magazine™ Interview with Randall Lane, Editor of Forbes Magazine, and the Reasons Behind Forbes’ 96 Years of Success. When your name appears in Forbes magazine, you know you’ve made it – and Randall Lane’s name appears in every issue as the current editor of the magazine. For 96 years Forbes magazine has been the portal to a wealth of information about everything from technology to communications to law. 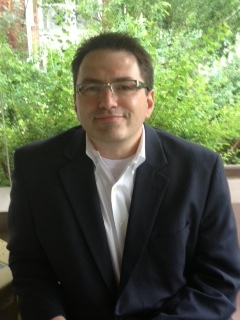 And Randall Lane believes in keeping the traditional brand alive across both print and digital platforms. 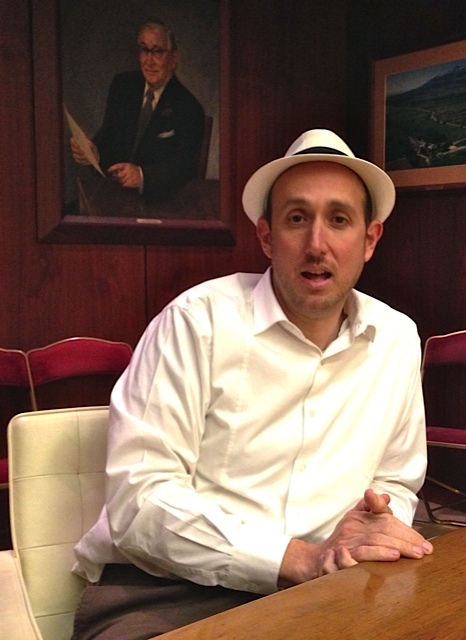 Recently I had the pleasure of talking with the man who wears his “trademark” hat both inside and outside of his Fifth Avenue office. When you walk into the Forbes building on Fifth Avenue in New York City, a sense of history engulfs you. Paintings, drawings, and portraits of people who once occupied the eminent offices greet you and remind you of the rich, intense heritage of Forbes. I spoke with Randall in the historic library, with floor-to-ceiling shelves lined with row after row of books…ink on paper books. The aura of yesterday intertwined with the energy of tomorrow and integrated into a print and digital discussion that would make even the most pessimistic of pessimist’s rethink their current, singular platform. So sit back, grab your hat and hang onto it as you ride the rails of a platform that believes their website is making the magazine stronger and their magazine is making the website stronger. Print and digital integrated…and Mr. Magazine™ asks: can he get an amen? And now Mr. Magazine’s™ interview with the editor of Forbes magazine, Randall Lane. On why he’s so gutsy on the future of Forbes, in both print and digital form: We’ve focused on how we make Forbes magazine an exceptional magazine experience. So then how do we make forbes.com an exceptional digital experience and then how do we make our live events great experiences? So instead of a one-size-fits-all, each one is tailored to the media it’s in and I actually think that there’s a model there that a lot of people are forgetting. It’s not rocket science, but it works. On what differentiates a printed magazine from the newly coined “magazine media”: We just this year invested in paper. We put a lot of money in the paper because there’s something about the tactile experience. The portability and the feeling you get of seeing beautiful photographs on glossy paper – that’s still a luxury item. Magazines are increasingly becoming, in a world where content is unlimited and free, a premium that commands, because it is an enjoyable experience. On the future of the printed Forbes: If only I knew. To me the larger question is what is the future of great storytelling and beautiful photography? Who knows twenty years from now; maybe they’ll have the digital paper that’s being talked about. You just don’t know. On whom the Forbes reader is: In print what’s cool and has always been, is that Forbes has stood for the same thing for 96 years. It’s stood for entrepreneurship, entrepreneurial capitalism, free markets, smart take-charge-of-your-own-future investing, and these are all the things that now, the way the world is, have come to us and in some ways we didn’t have to go chasing the market. And now for the lightly edited transcript for the Mr. Magazine™ Interview with Forbes magazine’s Randall Lane. Samir Husni: Why are you so bullish about the future of Forbes magazine, is it just because you are the editor? Randall Lane: If you look at our metrics, which are great, our AAM numbers are up and have been for the last three to six month periods, so that’s 18 straight months. Our PIB numbers are up. Our web traffic is crazy up. So all the metrics that you look at show us doing well and I think it’s because we’re focusing on the magazine, instead of trying to figure out how the same content works across platforms and having to work on none of the platforms. 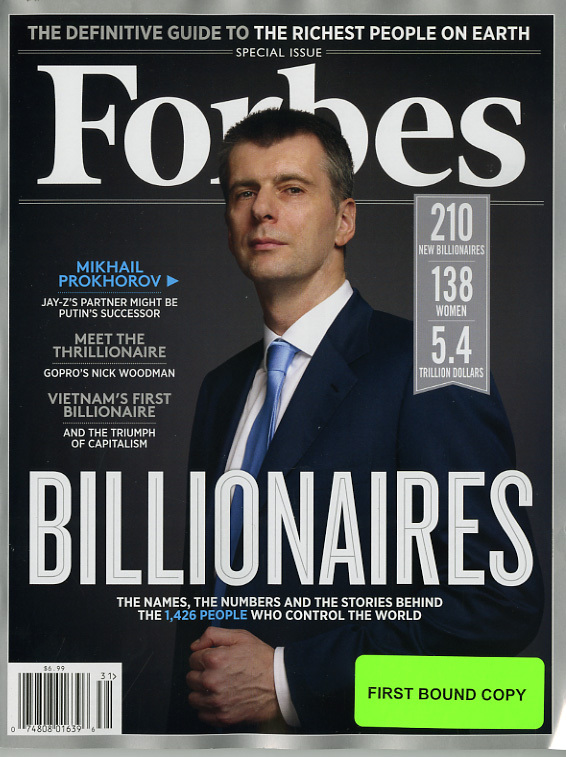 We’ve focused on how we make Forbes magazine an exceptional magazine experience. So then how do we make forbes.com an exceptional digital experience and then how do we make our live events great experiences? So instead of a one-size-fits-all, each one is tailored to the media it’s in and I actually think that there’s a model there that a lot of people are forgetting. It’s not rocket science, but it works. What are magazines great at? The answer: deep-dive reporting in articles, investigations and definitive pieces, those long profiles with a lean-back experience and beautiful photography, which we’ve redoubled our efforts on. A Forbes photo is as definitive as a Forbes story has always been. Forbes has always been about profiling people and having every story tell a lesson, and has always had a strong opinion. And again, I think that’s what magazines need to do. They need to have a personality. They need to speak with a voice and Forbes has always had a strong one, which we’ve continued to hone. So, if you look at the results and look at the numbers, and what’s happening in the industry at the same time, you’ll see that we’re going up. It’s really just understanding the basic premise of what people love about magazines. The magazine experience is great, but you have to tailor the product to what makes a magazine great versus just content. If you’re just posting news stories, then it’s better online. And forbes.com understands that. Why has forbes.com traffic gone through the roof? It’s because forbes.com understands that it’s not just relying on magazine stories online. It’s generating four or five hundred news stories a day from experts in the field. So forbes.com is a definitive experience for what’s going on right now in expert takes and with a strong point of view. And Forbes Magazine has that experience too. Samir Husni: You mentioned a key factor here, I think: the magazine is more than just content. What differentiates a printed magazine from that phrase everyone is using today – magazine media? Randall Lane: We just this year invested in paper. We put a lot of money in the paper because there’s something about the tactile experience. The portability and the feeling you get of seeing beautiful photographs on glossy paper – that’s still a luxury item. Magazines are increasingly becoming, in a world where content is unlimited and free, a premium that commands, because it is an enjoyable experience. Because as long as you have an internet connection, you can get as much mediocre content as you want. But to have a package that’s been curated and skillfully written, reported, edited and fact checked… well, that’s a value added. And that’s the magazine experience. It’s not just the random grabbing of this and that, but it’s the packaging of everything together. And that’s an enjoyable experience. So that’s what we think of when we’re putting these issues together is how can we check all the boxes so that we’re hitting all the food groups and giving our readers an experience that’s worth their five or six dollars. Samir Husni: But someone will argue that it isn’t the same thing on the iPad. Randall Lane: I think that we have a great iPad app. We have a new one out and Apple actually named it an “editor’s choice.” And as you know that doesn’t happen very often. I think that there’s a lot on the iPad that’s actually a very similar experience to the magazine, but especially with the nicer paper, there’s still a tactile joy to flipping pages and the portability of print. But we think there’s a great future for tablets and our iPad app is also a great magazine experience. So we don’t fear the tablet, we love the tablet. 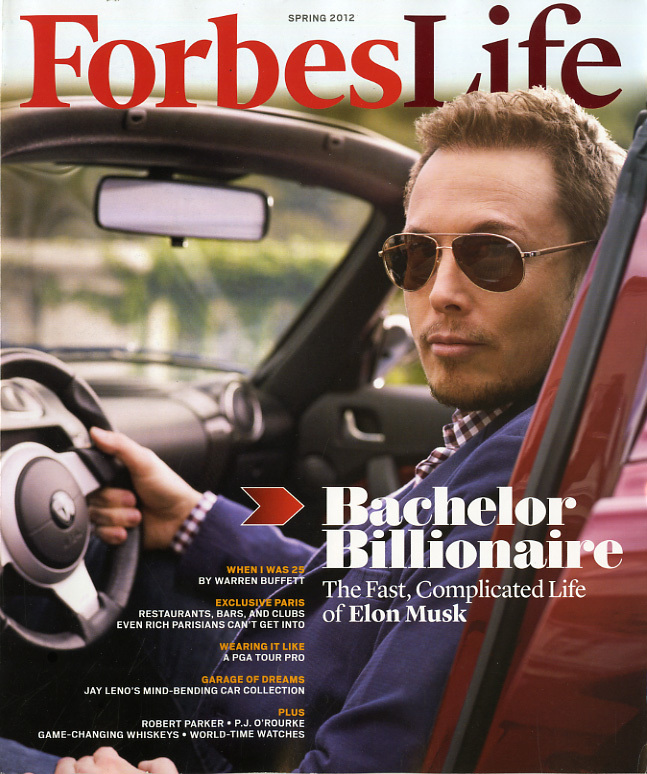 Samir Husni: So what’s the future for the printed Forbes? Randall Lane: If only I knew. To me the larger question is what is the future of great storytelling and beautiful photography? Who knows twenty years from now; maybe they’ll have the digital paper that’s being talked about. You just don’t know. But what magazines are is less about dead trees specifically, than the idea of wonderfully-told stories, definitive stories that are an event in themselves when they come out, packaged with beautiful photography in a way that makes you sit back and change the way you think about the world. I worry less about whether it’s a paper or a digital world, and I worry more about that magazine experience. I do think that paper is going to be around, but I don’t really worry about it. I just know people have proven for decades and decades that the magazine format is an enjoyable way to consume content. Samir Husni: Can you imagine a time when everything is on an iPad and thrown on a tablet, even the beautifully-written, tactile books that we have from our past? Randall Lane: I can’t, but can my daughters imagine it? They’re natives who have grown up with digital? There are a lot of people north of forty who can’t imagine a world without printed newspapers, but I’m pretty sure, other than a few, people will consume newspaper content digitally thirty years from now, just because the people coming up are so used to digital. 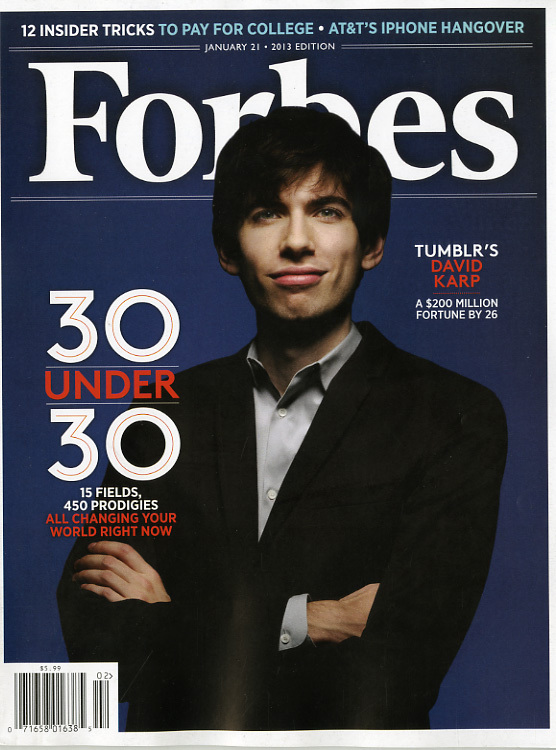 That said, what we’re seeing which is really cool is a tremendous amount of interest in Forbes from young readers, for example the 30 Under 30. We have people who lobby us all year to be in the 30 Under 30 and it’s not because it’s put online. It’s because the 30 Under 30 is in print and because of that, because they grow up in that world of unlimited content, the fact that this company with this incredible brand behind it for almost a century is saying we’re going to spend the time, effort and the money to print this and make it permanent. They do understand that that’s different. And I do think that’s different from a newspaper, because a magazine has that personality and brand and has that idea of, “Wow! I’m in Forbes magazine. I’ve made it.” So score one for our bullish view on print because we see, that when we put this package together, and I’ll use the 30 Under 30 because it’s a proxy for the future, we put the story online and we get hundreds and hundreds of people on the list and we have 15 categories, 30 per category, so 450 people, and almost all of them ask us, “When’s it in print?” It’s not real until it comes out in print because that is the sign that it’s real and you’ve made it. Because everyone knows that anybody can build a website and put something up, but being published in a brand that’s been around for 96 years means something and is still very powerful. Samir Husni: People have letters and things in print that they have saved for generations. I really don’t think too many people today print out their text messages. What will happen to today’s history, our permanence that we hope to preserve for tomorrow in this digital age? Randall Lane: That’s a great point in that print still represents definitiveness, as in a book. A book is a definitive type of product. It’s something children distinctively understand. Where again daily news is such that you don’t see people binding newspapers and keeping them around. Newspapers are a product that just comes and goes, where you see people keeping bound magazines. All of us know what it feels like to have to throw out magazines, you almost feel guilty doing it. Samir Husni: When people sit down today to play a digital game or look at content on the internet, there’s always another level and another, with no end in sight. But when you hold a magazine in your hands, you have a beginning and an end. Randall Lane: Yes, and I think that speaks to the magazine experience too. When you package something, you have the table of contents, you have something in the back of the book that leaves you with a smile at the end and makes you think. And there’s something about the curation of a well-designed magazine that correlates to that in the human brain. It’s why it’s so fun to do this on a daily basis. You’re trying to reach people through their head, but also through their heart and there’s an emotional connection. And you see that with strong magazine brands. People don’t think of them as they do with random websites that they get news from. These magazines have personalities and there’s a relationship with the reader and you have to respect that. And everything that we’ve been accomplishing is because: A – we respect that relationship and B – we’re doing everything that we can to try and bolster it and to understand why it’s good and what makes it good and to make those parts stronger. Samir Husni: Who’s your reader, the 1% or the 99%? Randall Lane: It’s a lot of both. In print what’s cool and has always been, is that Forbes has stood for the same thing for 96 years. It’s stood for entrepreneurship, entrepreneurial capitalism, free markets, smart take-charge-of-your-own-future investing, and these are all the things that now, the way the world is, have come to us and in some ways we didn’t have to go chasing the market. If you think about the world out there right now, nobody is sitting around thinking, “Hey, what company can I go work for the rest of my life that’s going to take care of me?” I mean, if you’re doing that, you’re crazy. You have to take care of yourself. Forbes has always been about the individual and figuring out a way to take care of you. Forbes is the magazine that pioneered the idea that you don’t write about companies, you write about people. And the story of a company can be told by the person running that company. We’ve always been about that. What’s great is the world has finally awaked to the fact that that is what it’s about. It is about yourself, it’s about taking charge of your own career and your own future. The message of Forbes resonates with anybody who is at all interested in success. Because what we’ve always been about is where the world is right now and that is self-empowerment. Samir Husni: Some people say that the future of printed magazines is in those iconic additions: Forbes 400, Forbes Billionaires, Forbes 30 Under 30, do you agree? Is that the future or is there still room for some good old-fashioned general interest business? Randall Lane: Absolutely both. And we do both. Franchises are great things to pivot from and what we’ve been focusing on is taking these franchises and turning them into something. You know, when a franchise magazine comes out, it’s an event and we’ve actually been turning those into live events. 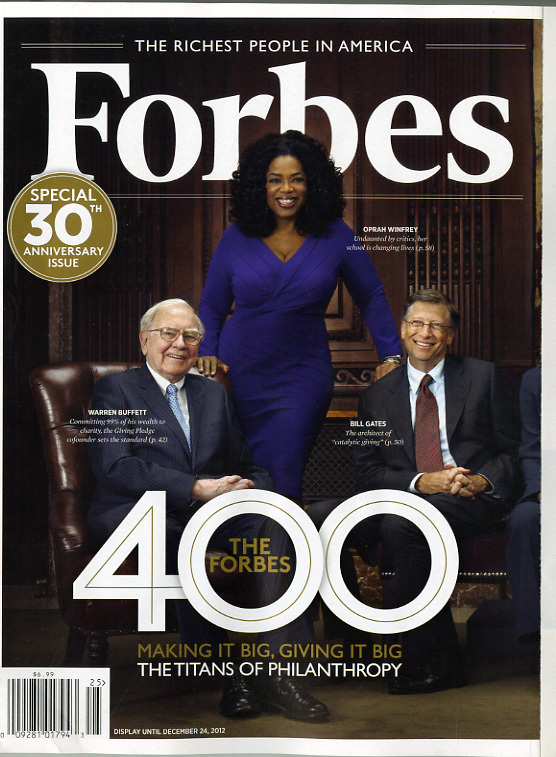 With the Forbes 400 last year, we had our first Forbes 400 summit on philanthropy. Some of the wealthiest people in the country were all in one room. You had Bill Gates, Warren Buffett, Melinda Gates, Oprah Winfrey, Leon Black, Jon Bon Jovi and Steve Case. That cover might be the wealthiest one ever, in terms of the people in it, and quite possibly the wealthiest portrait ever taken. And to get them all to take the franchise and bring it live, that’s a wonderful opportunity, but you have to have both, because every single issue is a franchise issue. You start to lose your identity if you keep on saying, “This issue is the travel issue and now it’s the summer issue.” The core is, this is an issue of Forbes too, but it’s just that we have a package in it that is something that you look forward to every year. And that changes the discussion of the whole world and what they’re talking about. For the last two days the entire world has been talking about the Forbes Billionaires list. And that’s fun. And that strength is the Forbes brand. But you need to have enough flexibility so that you’re offering your readers, instead of jerking them from a single-topic issue to a single-topic issue, all the basic food groups covered. The magazine means something. And that allows frankly, the franchises to thrive more because they’re coming off that base. Samir Husni: Do you think that digital by itself validates those franchises? Randall Lane: I think, actually, that it works both ways. It’s part of what Forbes has been doing so well in the last couple of years. We put all our magazine stories online, all of them. And there’s no paywall. And what’s been amazing to watch is to see how these Forbes stories, when they’re put online, do so well. And part of it is because they’re in the magazine too and it says that from the top of the post: this story is from the X issue of Forbes Magazine. And those stories do disproportionately well by the end of the day. There will be 200,000 views just in the first 24 hours. And part of it is because when it says this is the X issue of Forbes Magazine people know that this thing has the credibility of having been researched, reported, fully edited and fact checked, and that makes that story much more resonate on the web. So the magazine is actually feeding the credibility of the website. Now the website also helps the magazine in that we have 400 or 500 posts a day and the readers will tell us what they’re interested in. It’s an amazing tool in understanding what people’s interests are. We actually put something in each of our issues, in our sections; we have a sort of barometer of what Forbes readers are talking about based on the traffic we see on the website. The website is making the magazine stronger and the magazine is making the website stronger. It gives our staffers the tools to then do what is the right thing for the story. If you just work for a website and you have some kind of deep investigation, there’s a pressure not to do that because on a website how much banging can you get off of that? But in a magazine we might have a short story that frankly is perishable and doesn’t really hold up to a long life, but maybe it’s a couple hundred words and you can get it out and get your take. Our entire staffers do both. And they’re able to take any story and decide the best media for it… I have a little tip, it’s not a huge story, but I’m going to get it out there right now. Or…I have this great investigation, let me spend time on it and hone it and tell a definitive story. It’ll still be online, but it’s coming out of the magazine. And so I think that’s very important, in terms of what we do with our staffers and that we give them the flexibility to take each story and let it live on the medium it wants to live on. Samir Husni: So are you swimming against the current when everybody else is going to paywalls and charging for online? Randall Lane: I don’t know what everybody else’s model is, in terms of whether it’s working or not, but we have seen crazy success with the model we have. We did 44 million uniques in February. We did 45 million uniques in January and we’re at that same pace this month, and that’s up from 2 years ago. It’s working. And it’s fun. Because we don’t have to sit here with our magazine and look jealously at all the websites that are growing and we don’t have to sit here on the website and say, “Oh well, wouldn’t it be nice to have a healthy magazine. They work together well and there is a model here for the co-existence between print and digital. They need each other. And they feed each other. And that’s part of why it’s so gratifying to be here right now. There are a lot of places where it’s tough out there and we’re finding that this is really working. Samir Husni: Is it Randall’s magic touch? Randall Lane: I have to say Lewis D’Vorkin, the chief product officer, had the model working before I got here. But I had enough experience at testing out different ideas for magazines to be able to bring some of my own onto that platform. It’s been a lot of fun. Samir Husni: Do you think that you can ever make money from digital? Or do you want to make money from digital? Randall Lane: Yes, we definitely want to. And we definitely do. On the business side, we’re a private company but we’re performing very well. Where everywhere you hear, people are laying off, we’re hiring.